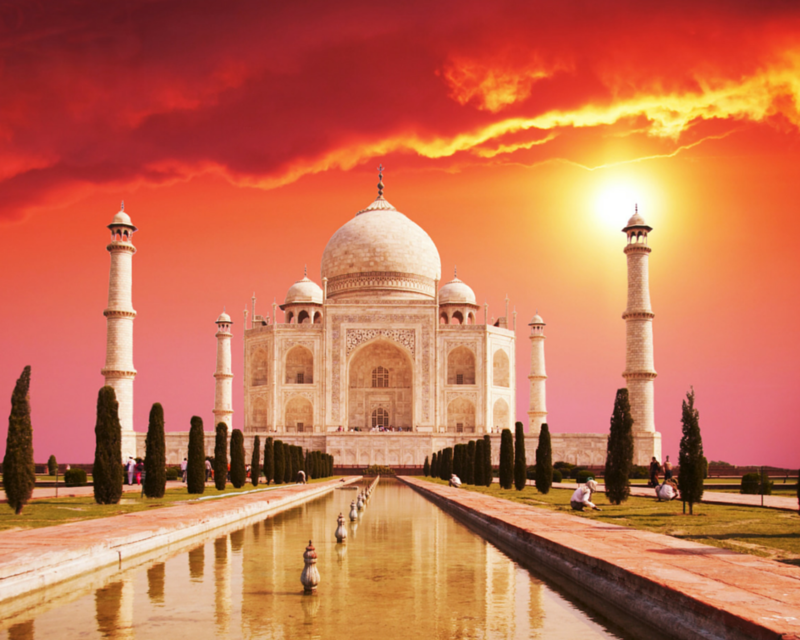 Located in Agra, India, The Taj Mahal is perhaps the most iconic UNESCO World Heritage listed site in the entire world. Built in the early-mid 17th Century, this incredible marble mausoleum attracts visitors from around the world with ease. This deep canyon in the state of Arizona is one of the USA’s most recognised attractions and certainly its most renowned natural attraction. 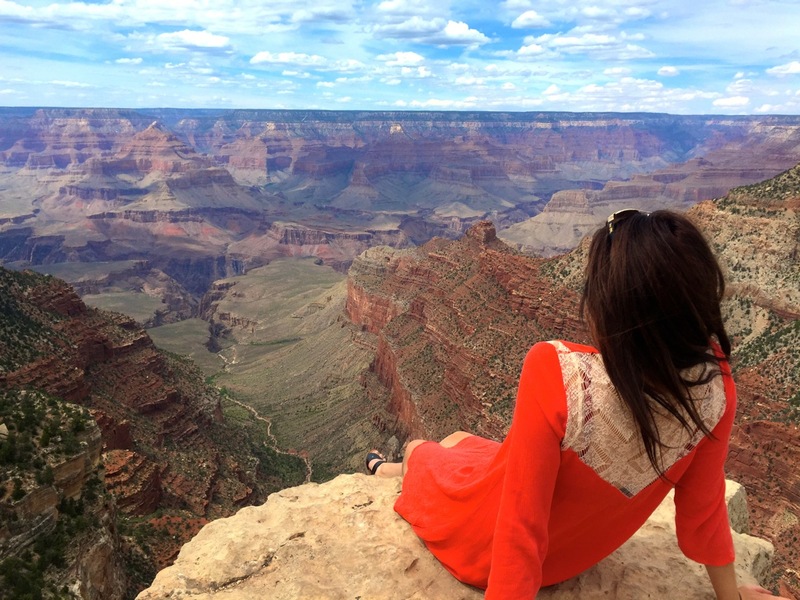 There are many ways to experience the Grand Canyon, so be sure to check out these 9 different ways to experience the Grand Canyon! Easter Island has long been an area of interest for historians and archeologists aiming to uncover the mystery of this small island in Polynesian waters. If you do get a chance to tick this off the bucket list, Easter Island is one of the most remote UNESCO World Heritage listed sites to visit and certainly one of the most interesting mysteries. Petra, the “lost city” has long been a travellers’ favourite when visiting the Middle East. Petra is half-built and half carved into the rock where it stands, making it both fascinating visually in the present day as it is historically (Image by Mileli via Wikimedia Commons). Cambodia’s Angkor Wat is the largest religious monument in the world. However what is interesting about it is that despite now being a Buddhist temple, it was once a Hindu place of worship. 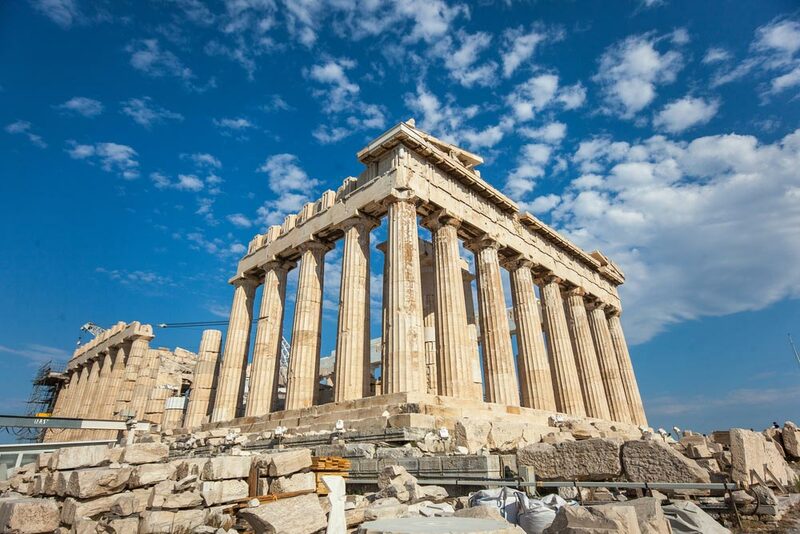 This particular UNESCO World Heritage Site offers travellers a great insight into the evolutionary aspect of travel and how time can change things in both simple and dramatic ways. 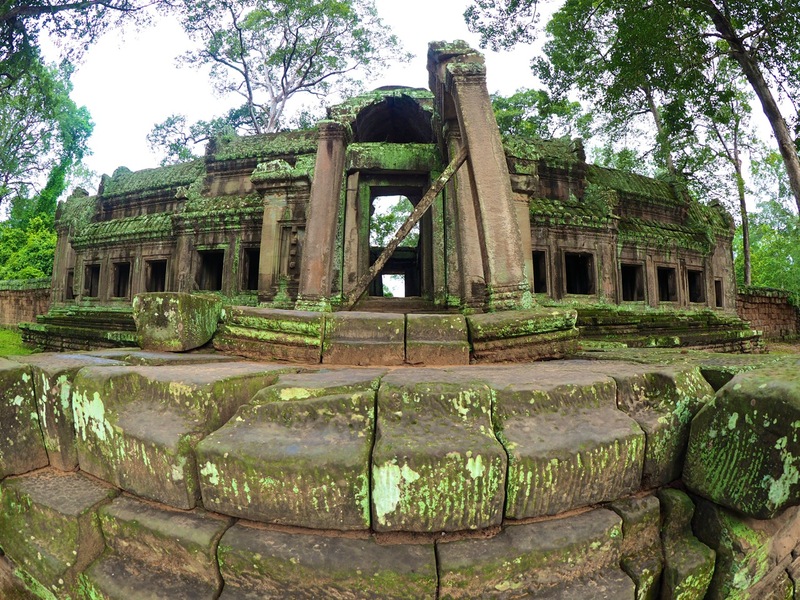 See here for a full guide to visiting the temples of Angkor Wat. This quaint little village is top on many travellers’ lists when passing through Czech Republic on a larger European tour. Of course one look at the photos will tell you why. 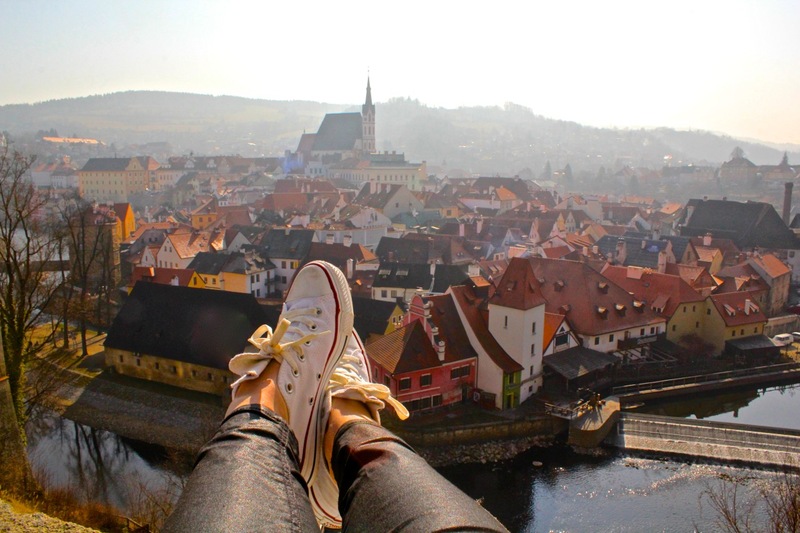 Cesky Krumlov is also home to bears inside the castle, friendly locals and is a great meeting point to encounter travellers from all around the world – everyone, it seems, passes through here nowadays! 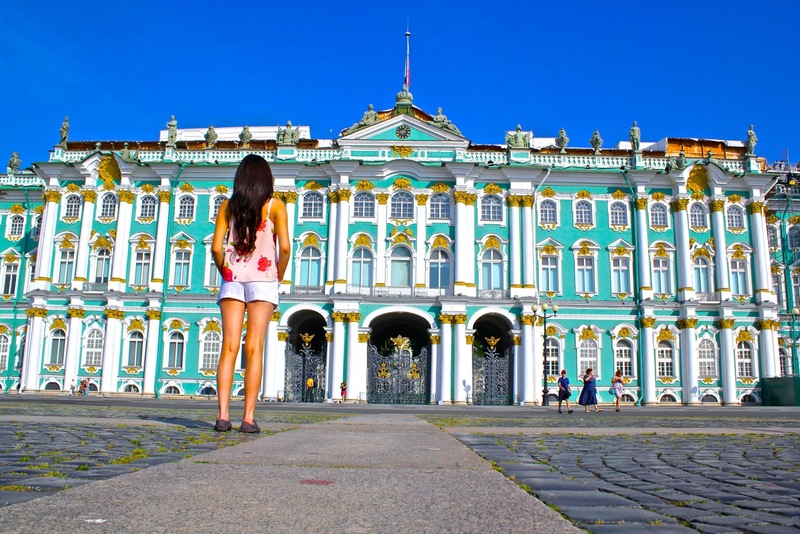 The former capital of imperial Russia not only has a high significance in Russian history, but also happens to be the most beautiful city in the entire country. Be sure not to miss taking a day trip to Peterhof Palace! Machu Picchu has quickly become a huge tourist drawcard for Peru in recent years, sparking much interest in the history of the Incas. Before you go, here’s 10 things you need to know about Machu Picchu. 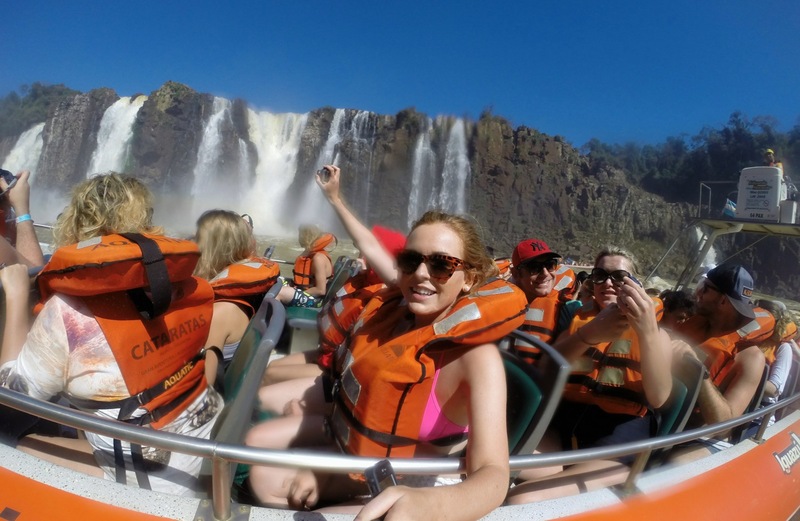 Travellers exploring South America aren’t likely to pass up the opportunity to see Iguaza Falls in the flesh. You can see the falls from both Brazil (panorama) and Argentina (up close), with most travellers choosing to see both sides as they cross the border. 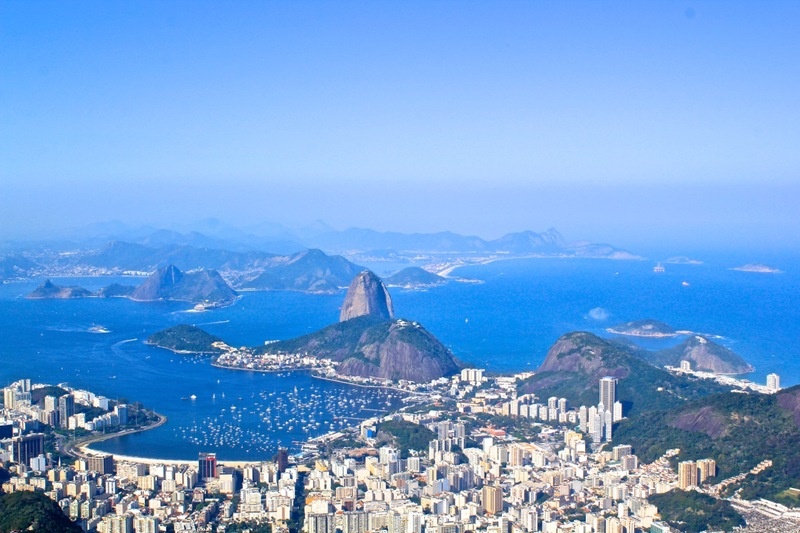 If venturing throughout the region, don’t miss these popular places in South America! If these walls could talk! The Forbidden City was the Imperial Palace throughout the Ming and Qing dynasty and is now a museum open to visitors (Image via wikicommons). This sleepy town on the coast of Vietnam captures the hearts of any traveller passing through with its unique French influence and typical southeast Asian charm. 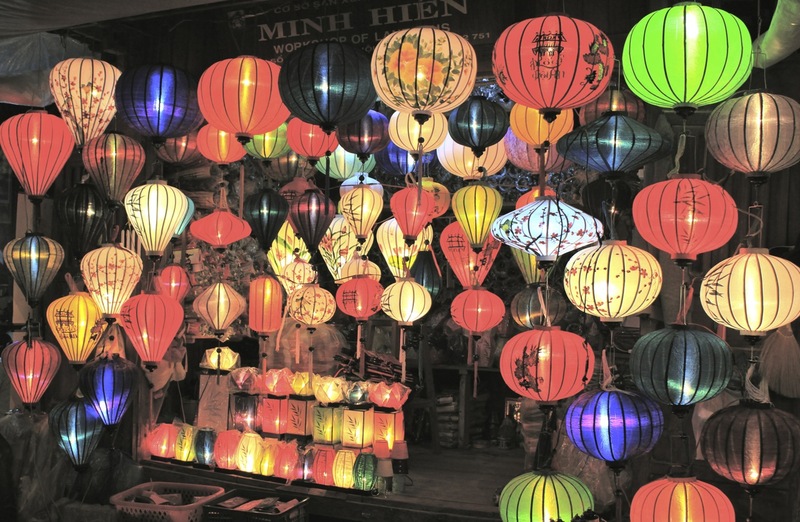 The people are friendly, the beaches are nearby, and there’s really no way you can’t enjoy Hoi An! The landscape seen from the Christ the Redeemer statue is UNESCO World Heritage protected, and one glance from atop the mountain soon proves why! 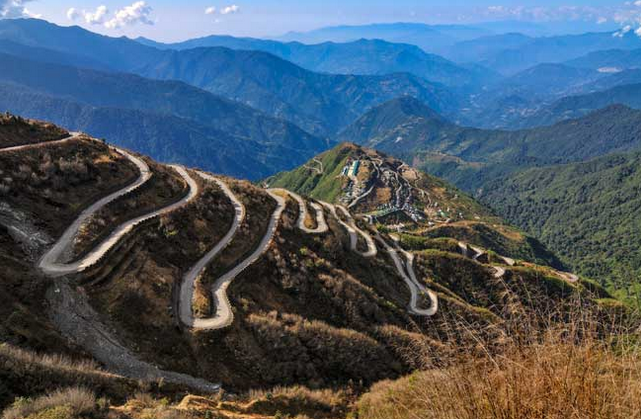 Expect delays in reaching the top and incredibly overwhelming crowds… though, it is entirely worth it! When you think of Canada, you often think of the above image. 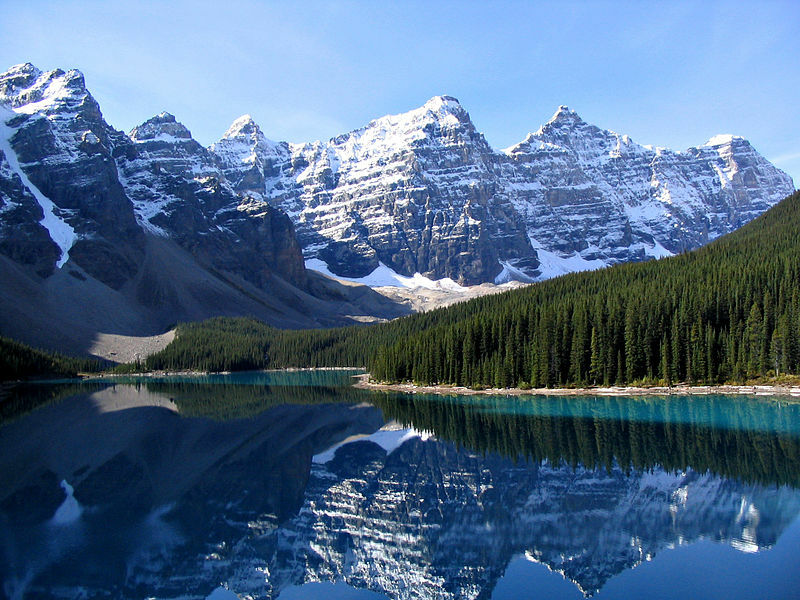 The above picture is of Banff National Park, located in the Canadian Rocky Mountains. Here you can enjoy all of what you’d expect in Canada: hiking, kayaking, canoeing, skiing, snow boarding, you name it! (Image via Wikicommons). 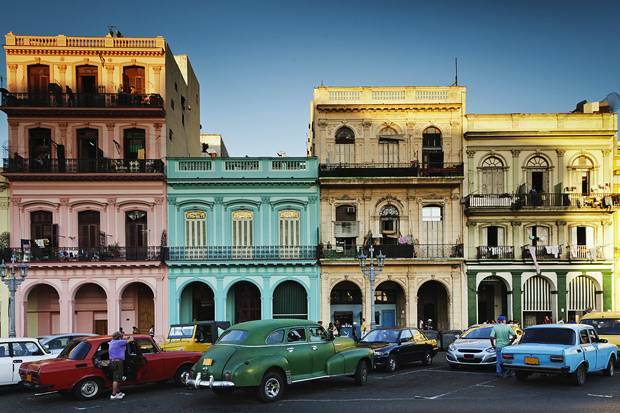 While Havana will soon be changing given the lift of embargoes, right now it is still a timewarp that captivates all travellers with its’ unique charm and charisma (Image via). 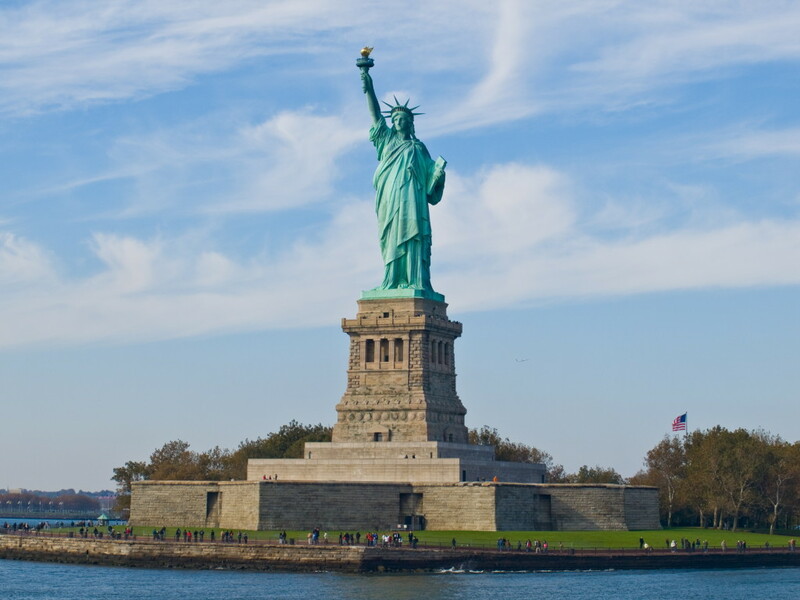 The Statue of Liberty is often the first thing that comes to mind when thinking of New York, otherwise it is likely to be Empire State building or the famous “NY” yankees logo. Whatever the case, you can’t come to New York without catching a glimpse of the true icon. If you want a cheaper option (actually, its free!) take the Staten Island Ferry round-trip without paying for a view of the old girl from afar. The pyramids of Giza are a world icon, there’s no doubt about it! (Image via Bimzz) They are also the oldest of the seven wonders of the world. There is no place in the world like Jerusalem – a city held sacred to Jews, Christians, and Moslems. The towering walls, narrow alleyways, and colourful markets are all characteristic of this incredible city (Image via Travel Hub). The Medina in Marrakesh is certainly a sight for the eyes, as well as invigorating all the senses! There’s always a lot going on, so be sure to have your wits about you! 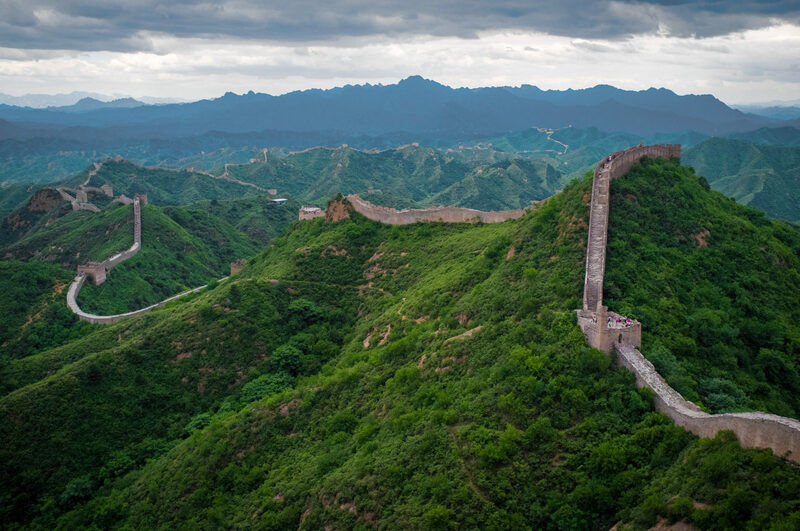 There’s no wall quite as great as the Great Wall, spanning 5,500 miles across China (Image via Wikicommons). It comes at little surprise that the Historic Centre of Rome is one of the world’s most visited UNESCO World Heritage Sites. 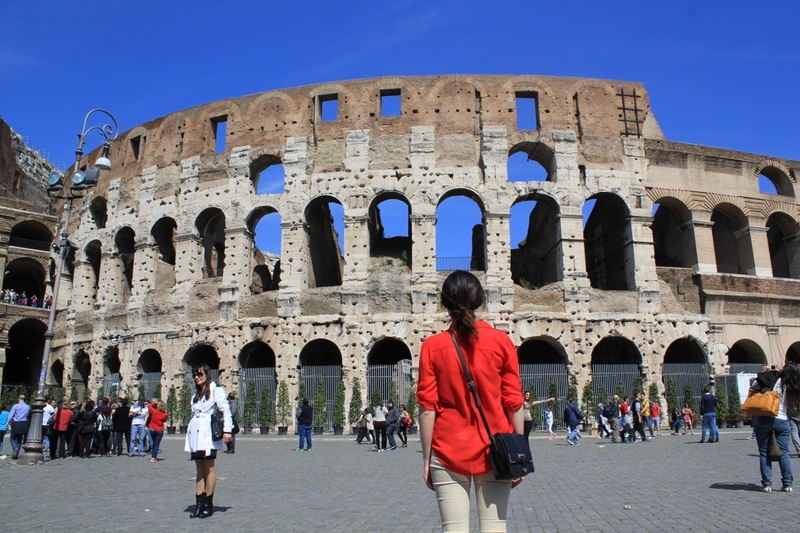 There is much to see and do whilst in the historic centre, so be sure to read the 20 places you must visit in Rome! The Palace of Versailles is one of the must do experiences when in Paris, despite lying outside of Paris in nearby Versailles. 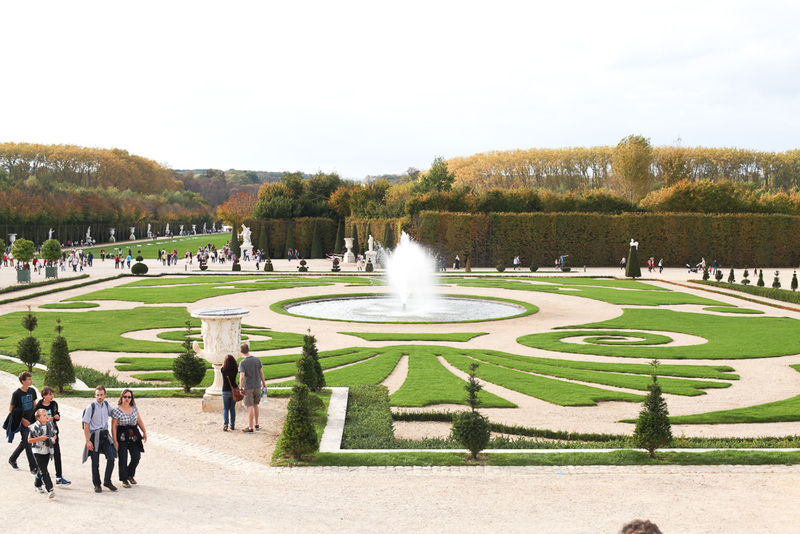 Read more about how to make the most of your trip to Versailles. 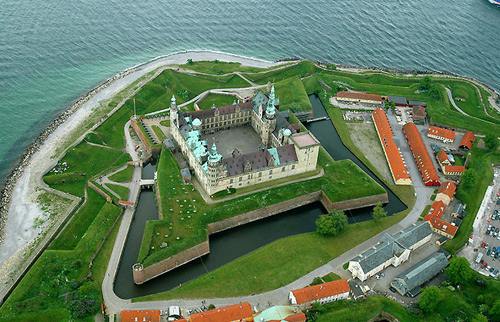 Denmark has a total of 7 UNESCO World Heritage sites. Kronburg Castle is known as the home of Shakespeare’s Hamlet and is just a short day trip from Copenhagen (Image via Wikicommons). This is one of England’s main tourist attractions and displays a mysterious circle of upright stones in Southern England, easily accessed as a day trip from London (Image via Wikicommons). 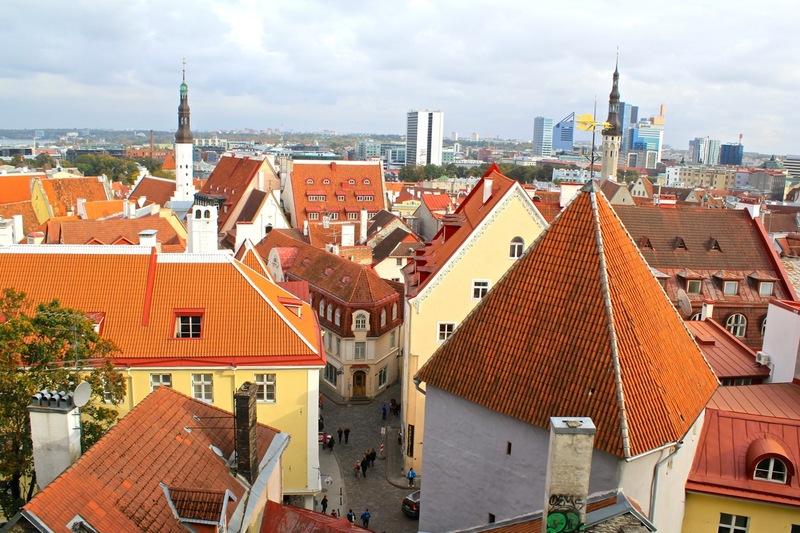 The gorgeous Tallinn is one of Europe’s many “fairytale towns” – so cute that it just doesn’t seem real! If not visiting Estonia itself, consider taking a day trip from nearby Helsinki (a couple of hours one way). This shinto shrine is a beautiful floating shrine in Hiroshima, Japan, and is one of the most photographed shrines in the world (Image via Wikicommons). 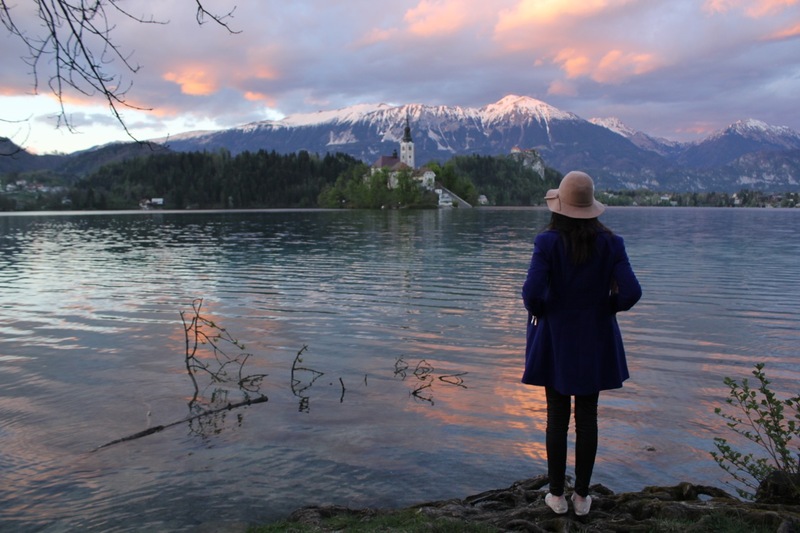 Lake Bled is without a doubt one of the most romantic lakes in all of Europe, so it comes at little surprise that it has landed itself UNESCO protection! If planning to visit, don’t miss the chance to also visit the capital of Slovenia, Ljubljana, as it is truly a hidden gem. Plitvice Lakes National Park in Croatia has quickly become one of the most popular national parks to visit in Europe amidst the tourism boom in Croatia and it isn’t hard to see why! (Image via Travel 49). This ancient citadel overlooking the city of Athens is what continues to attract visitors year-round to the city of Athens (Image via). The entire country of Bosnia & Herzegovina blew me away on a trip last year that remains to be one of my favourite locations I have ever visited. 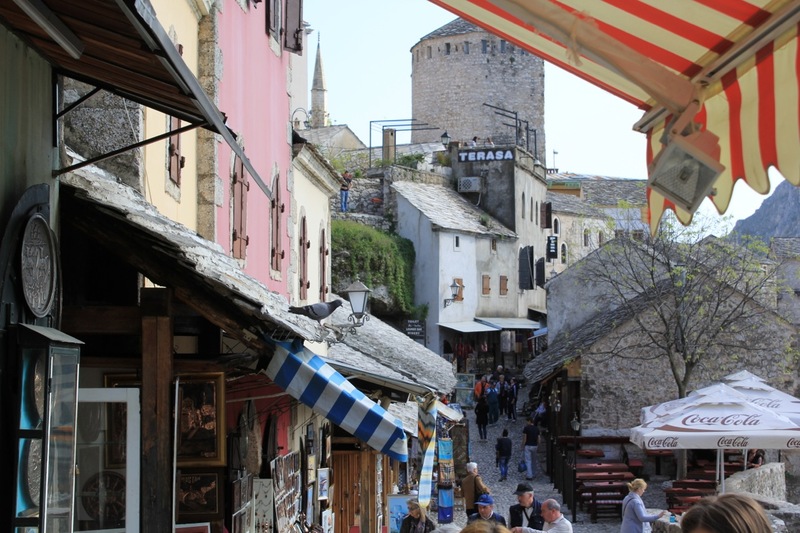 To see more on that trip and get help on planning your own, see 10 reasons why you should visit Bosnia & Herzegovina. 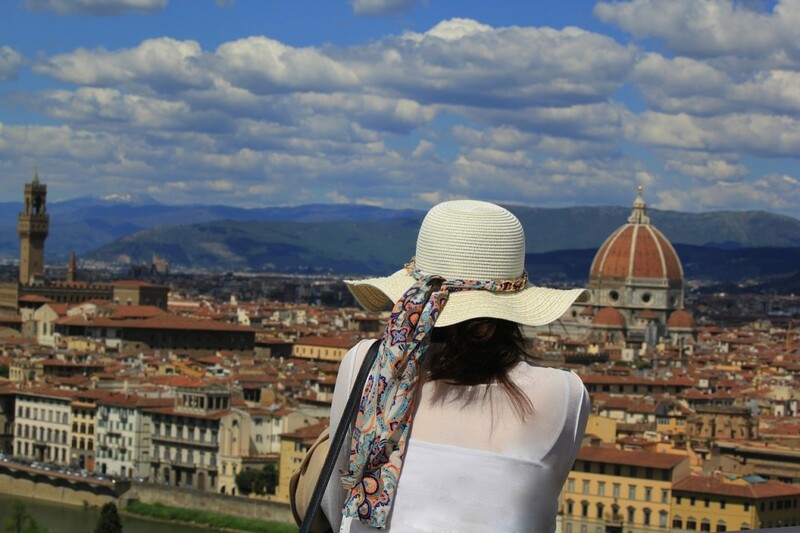 Italy is full of incredible cities with more history than you could squeeze into a guidebook, and Florence is certainly a travellers’ favourite. 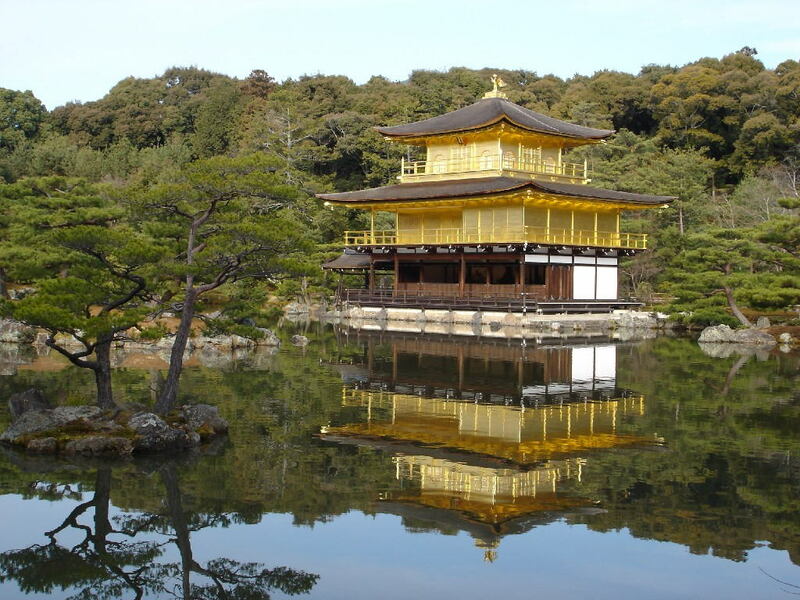 The UNESCO protection extends to 17 historical locations within Kyoto that are incredibly peaceful and display as much insight into history as they do Japanese culture today (Image via All Japan). This sacred indigenous site is believed to be 700 million years old. 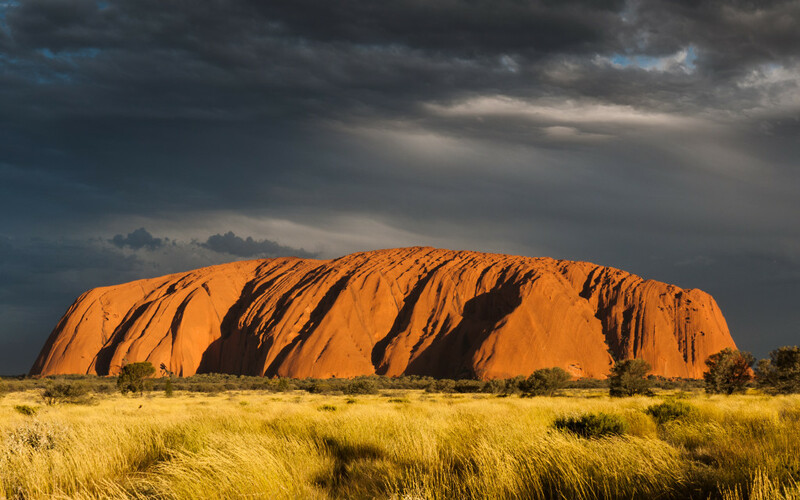 While you can no longer climb Uluru (also known as Ayers Rock), you can still visit and view it from afar, or even choose to stay a night in luxury tent accommodations! (Image via Wikicommons). Ohhhh Paris… there’s no other city in the world quite as magical and that leaves you always wanting more. The banks of the Seine river are UNESCO protected, which is a delight to discover given this landscape is at the heart of Paris itself. 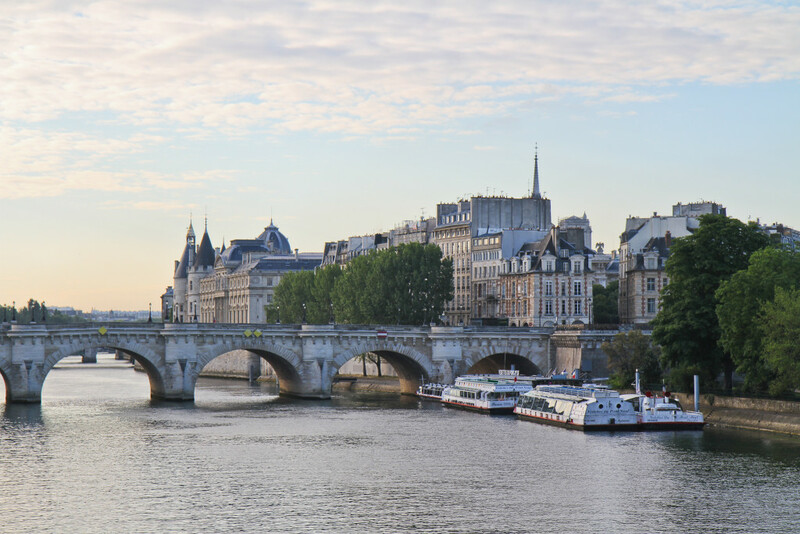 Be sure to take a stroll along the Seine when visiting Paris, or nestle yourself on the edge of the river fora romantic picnic lunch (Image: Faye Bullock). New Zealand has three UNESCO sites that showcase the natural beauty in New Zealand that must be protected for future generations. 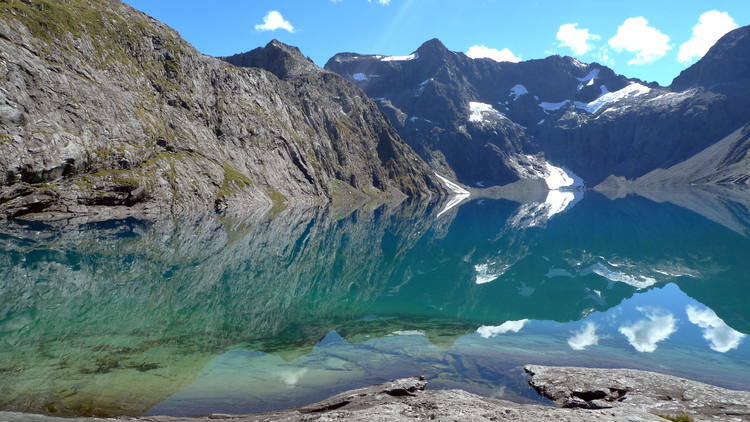 Te Wahipounamu is located in the South Island and was given UNESCO status in 1990 (Image via). Bryggen is a line of Hanseatic commercial buildings that give Bergen its most iconic photographic perspective! 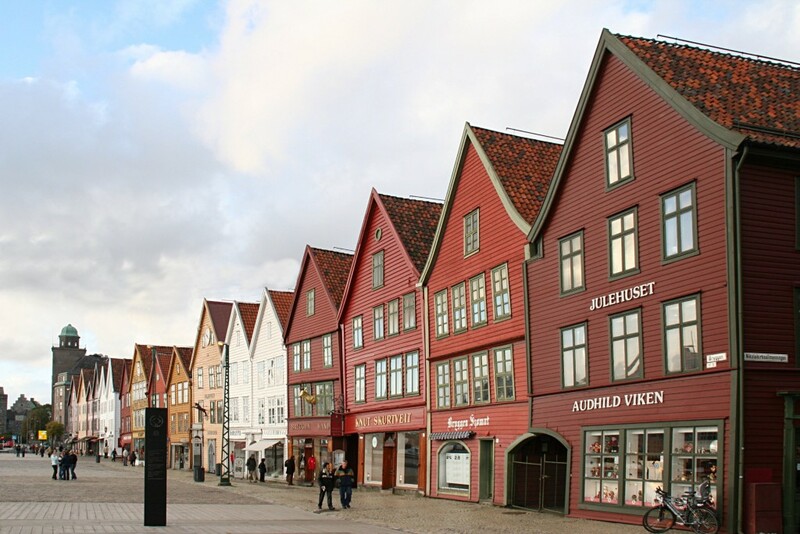 It was in 1979 when Bryggen reached UNESO World Heritage status and the whole of Bergen continues to attract hoards of tourists year after year, despite Norway being notoriously expensive (image via Wikicommons). 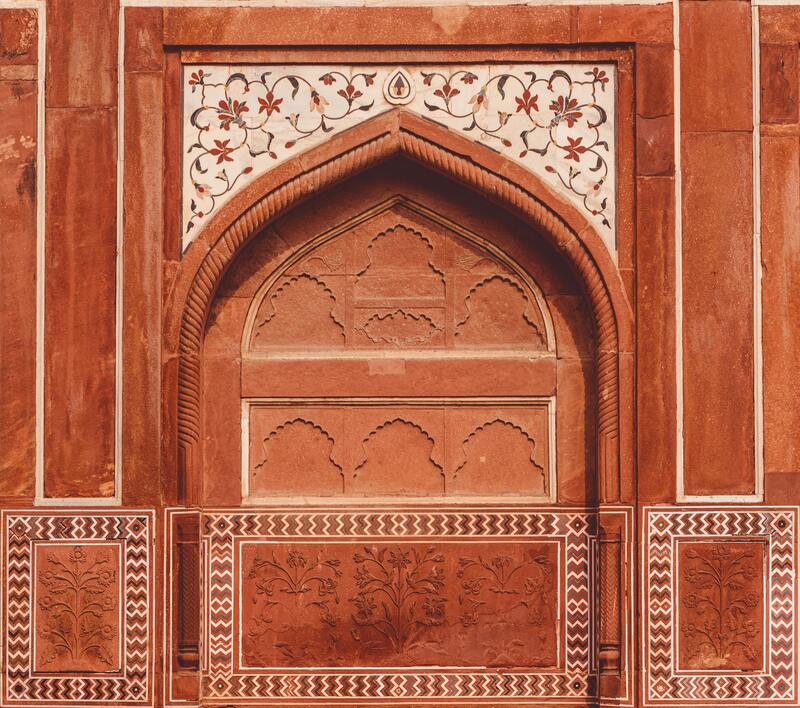 While all travellers will be familiar with India’s most famous UNESCO site, the Taj Mahal, many will also go out of their way to visit the Agra Fort as well. (Image via Wikicommons). 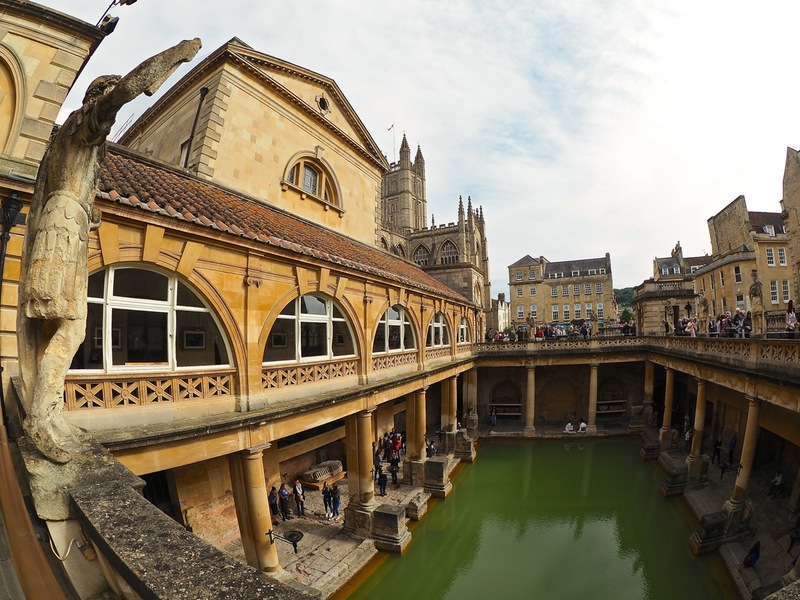 The City of Bath has a fascinating history and so much charm that it must be seen to be believed. If you aren’t exploring the UK in full depth, it is entirely possible to visit Bath on a day trip from London. Imperial and impressive, Vienna is a city of size and will leave you in awe of Austrian architecture. Be sure to visit the many museums as well as see an opera show at the State Opera House, as the building is even more impressive inside. Mount Fuji is the highest mountain in Japan and a true icon for the country (Image via Wikicommons). The small town of Bruges is without a doubt the prettiest location to find yourself in Belgium (of course some will make the argument for Ghent which is almost equally as charming in its own way!) 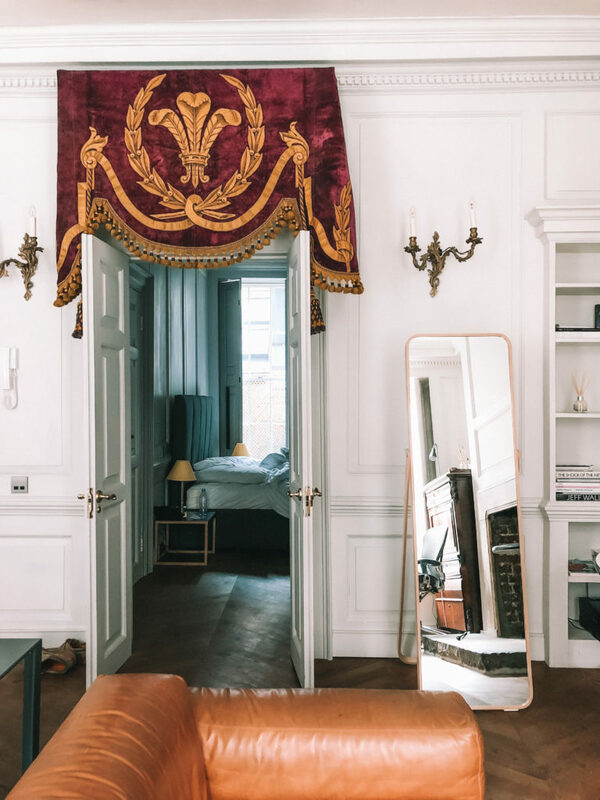 If you’re visiting Bruges, be sure to stay a night or two in order to wander the city at your own pace, and check out these 5 things to do in Bruges. It comes at little surprise that some of London’s most recognisable landmarks are UNESCO World Heritage listed, much less some of the most beautiful in the world! 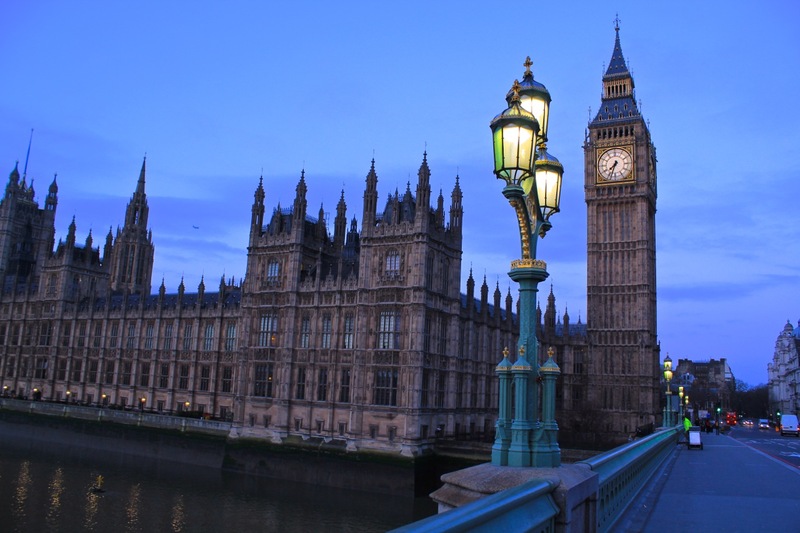 For tips to guide your visit to London, read here. Budapest is one of the most underrated cities in all of Europe, but if you haven’t heard of it you wouldn’t have been the first and you won’t be the last because no one told you Budapest was this beautiful! 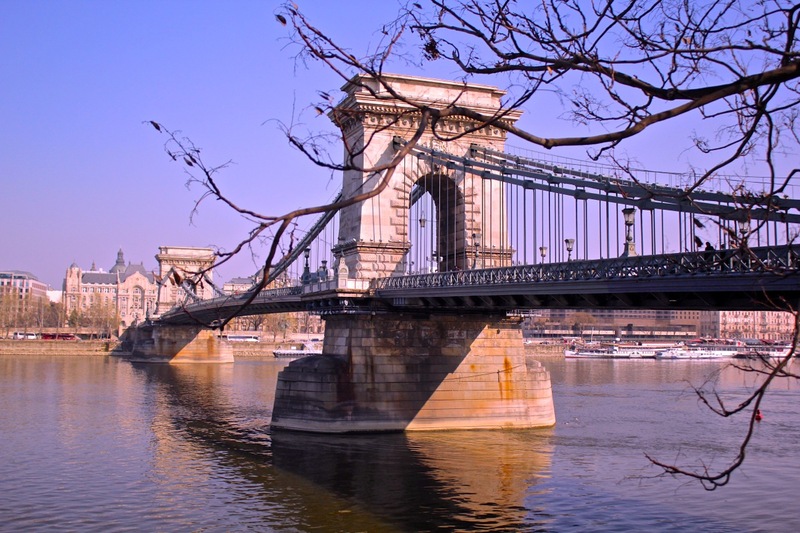 Technically the banks of the Danube are protected, but we think the entire city is worth your while! 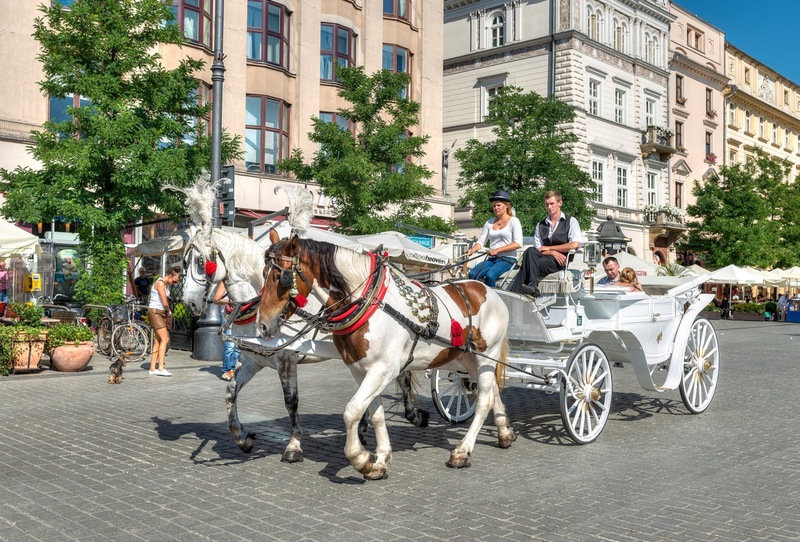 Prague (or Praha) is a traveller’s favourite in Europe and for good reason – it is absolutely stunning and very different from any other city in Europe. 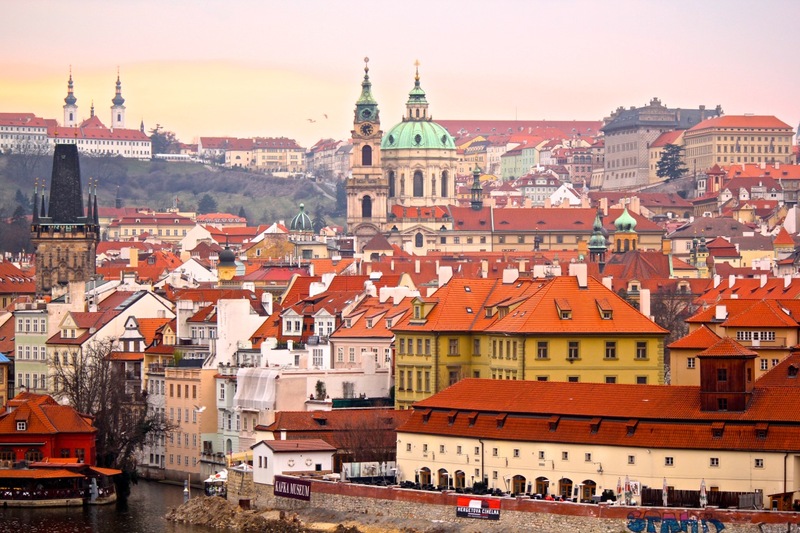 Here’s what to do with 3 days in Prague. Russia isn’t your typical European destination to visit, but it will certainly surprise and impress you with its unique culture and intriguing history. The capital, Moscow, is home to the Kremlin (parliament) and the Red Square, the two most visited sights in the entire city. Here are some helpful hints for first time visitors (particularly regarding visas) and the top 10 things to do in Moscow. You’ve seen the pictures, they’re as pretty as a postcard… so how could they be real!? Well they are! Cinque Terre has quickly become an Italian holiday hotspot, and it certainly isn’t hard to see why (Image via Wikicommons). 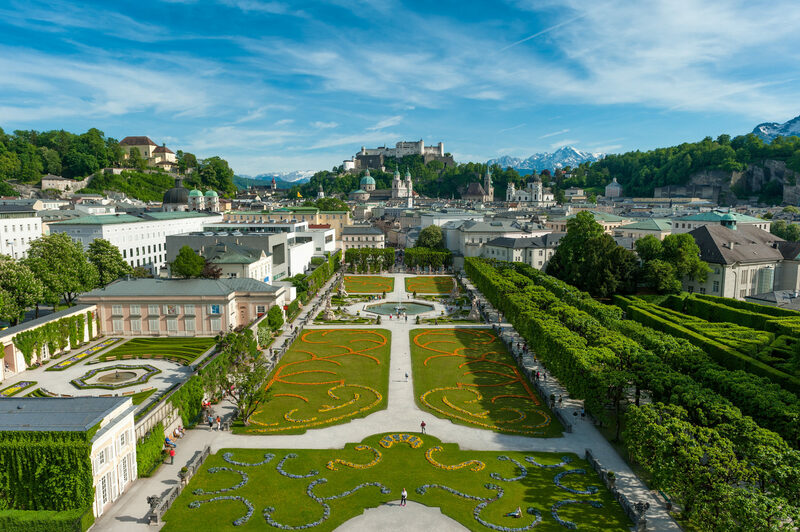 This Austrian city has so much to offer music lovers, for it is here where the Sound of Music was filmed as well as the birthplace of Mozart! While it is great and highly popular throughout the summer months, winter is also beautiful when the city is covered in a blanket of snow! For more, read about how Salzburg stole my heart. Located in the heart of France, the Loire Valley stretches a whopping 280 kilometres in length and is one of the most beautiful parts of France (though there are many, many more in this amazingly picturesque country)!! (Image via). 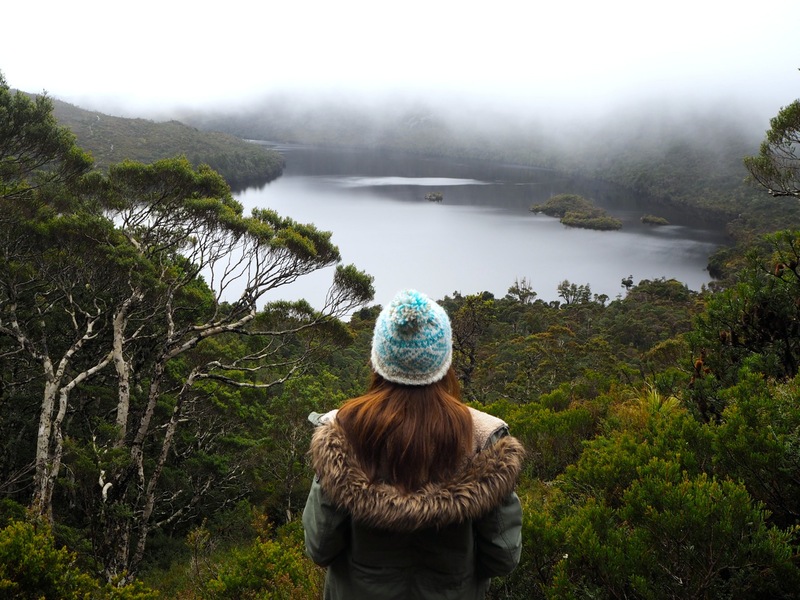 Cradle Mountain National Park is one of the most popular stops for visitors to the island state of Tasmania in Australia. Tasmania is just a short 45 minute flight from Melbourne on the mainland, or a little over an hour from Sydney, and is much cheaper to visit than the rest of Australia… what more reasons do you need to visit!? In case you do need more, here are the 50 best places to visit in Tasmania. While visitors are quick to rush to nearby Cesky Krumlov for its’ fairytale allure, many visitors also make their way to a different nearby town – Kutna Hora – that couldn’t be any more different if it tried. 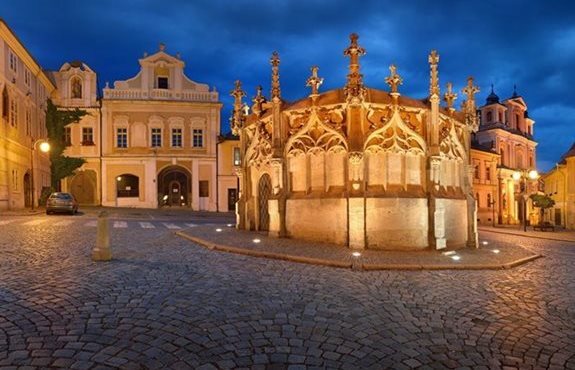 Imagine skulls, gothic architecture, and empty streets in the evening (Image via Czech Tourism). When I first heard of the Pantanal, the traveller telling me about how amazing it is was mortified that I had never heard of it — and when I looked it up, I too was mortified! 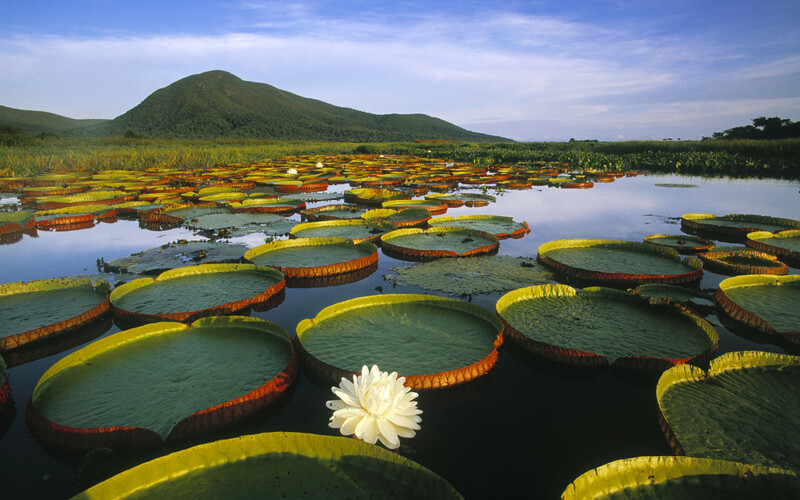 The Panatanal is an expansive wetland park in Brazil (image via). Krakow is a massive tourist drawcard in Poland as it is truly one of the most beautiful cities in the entire country. 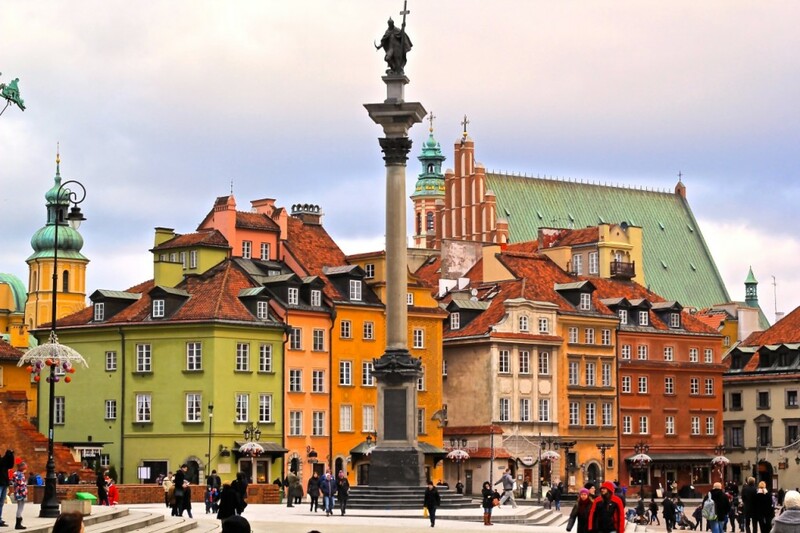 Other beautiful cities include Wroclaw and Warsaw, the Polish capital (Image via Nick Moulds / Flickr commons). 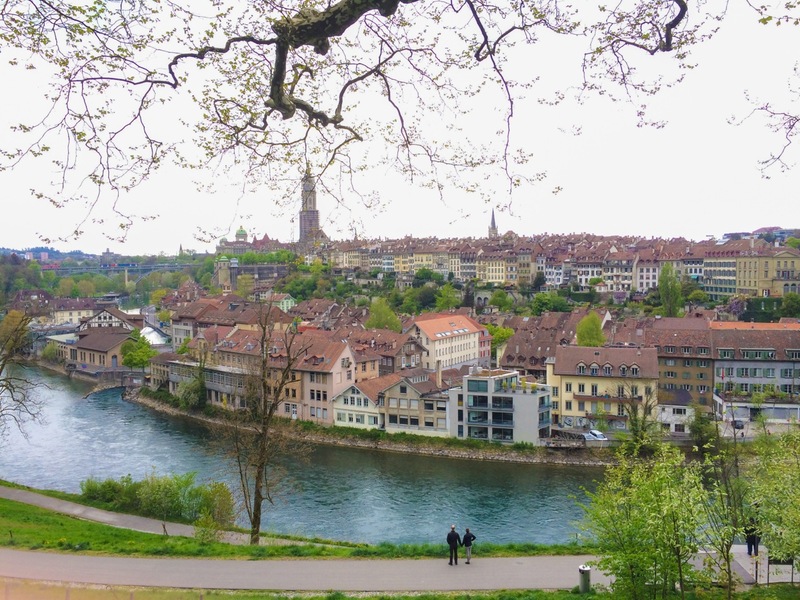 The capital of Bern is perhaps one of the most stunning capital cities in the entire world! 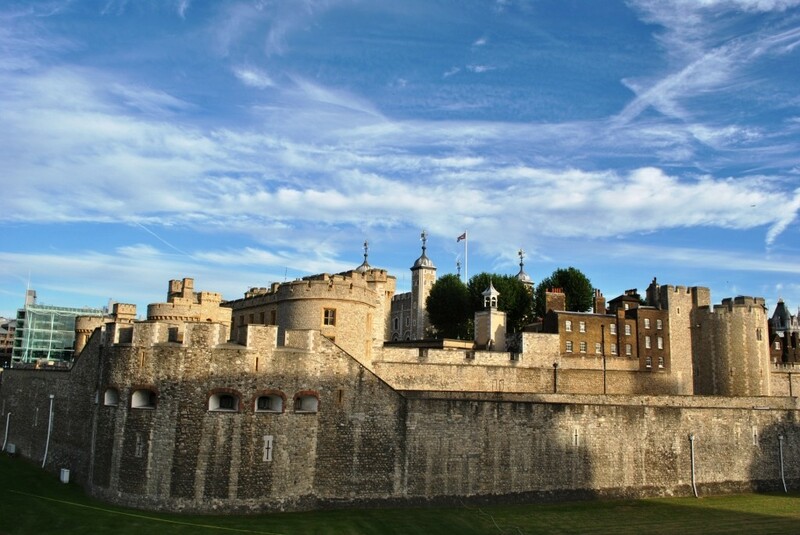 One of the best insights into history in London is to visit the Tower of London and learn the history of the fortress and London prior to what London has become today – its fascinating! (Image by Emma Bates). 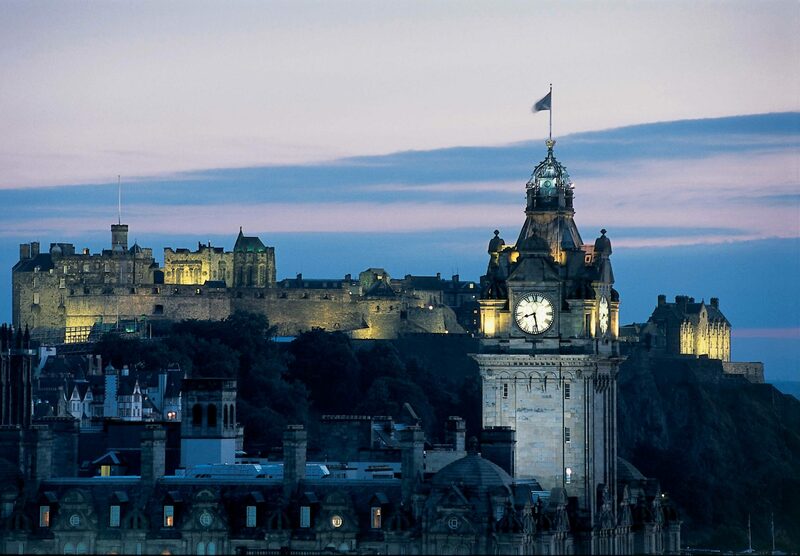 Edinburgh is perhaps the most stunning city in all of the UK. With its’ castle high on the hill, well-preserved Old Town and beautiful New Town, it has so much to offer visitors. The festive season runs through August if you are interested in visiting the city during a happening time! The swiss alps are most commonly visited during the winter months for skiing, snowboarding and many other snow activities, but what visitors don’t realise is that it is just as beautiful in the warmer months (just in a different way)! 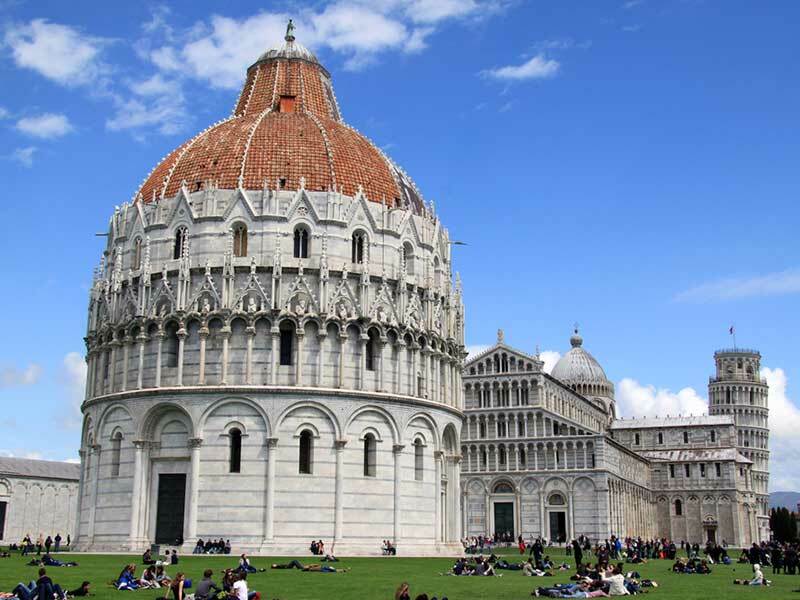 Pisa is on many visitors’ list when visiting Italy, particularly for its famous leaning tower. Be sure to wander around the grounds once here, as the Piazza del Duomo is equally beautiful and a great spot to stop for a picnic lunch (Image via Italia.it). 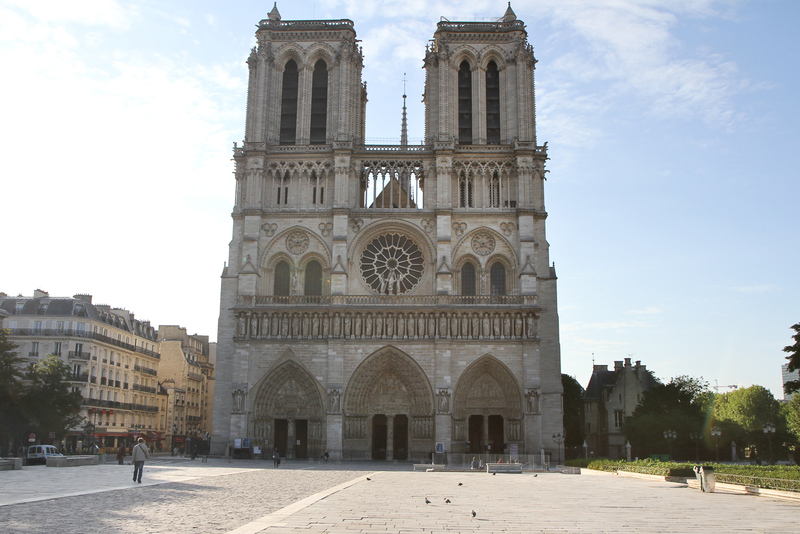 Notre Dame Cathedral is one of Paris’ landmarks that simply cannot be missed when visit Paris (image via Faye Bullock). Yosemite National Park in California is one of the most visited National Parks in the whole of the United States. 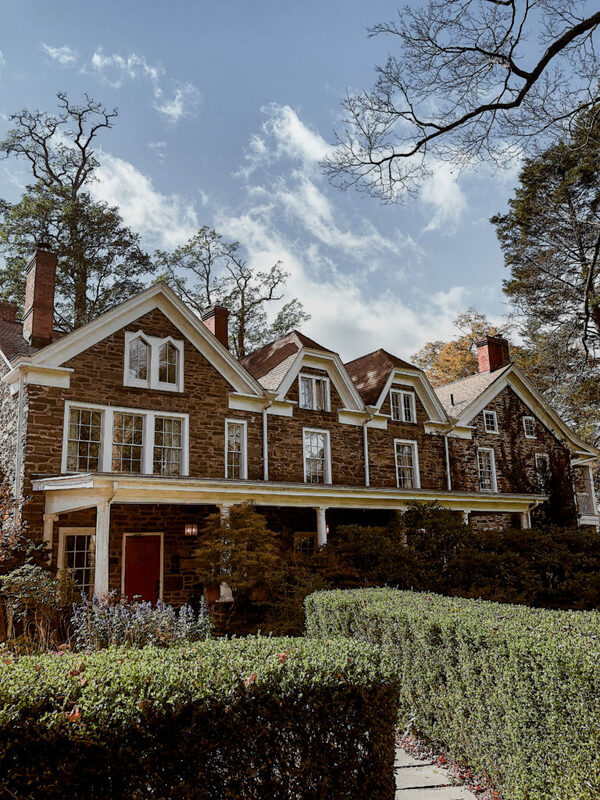 There are however many others worth visiting, so be sure to visit all those within reach of your itinerary! Before we listed Krakow, but it would be a severe disservice to Poland to miss the capital off the list! Warsaw is incredibly beautiful and many people overlook it. To become convinced, check out Spotlight on Warsaw. 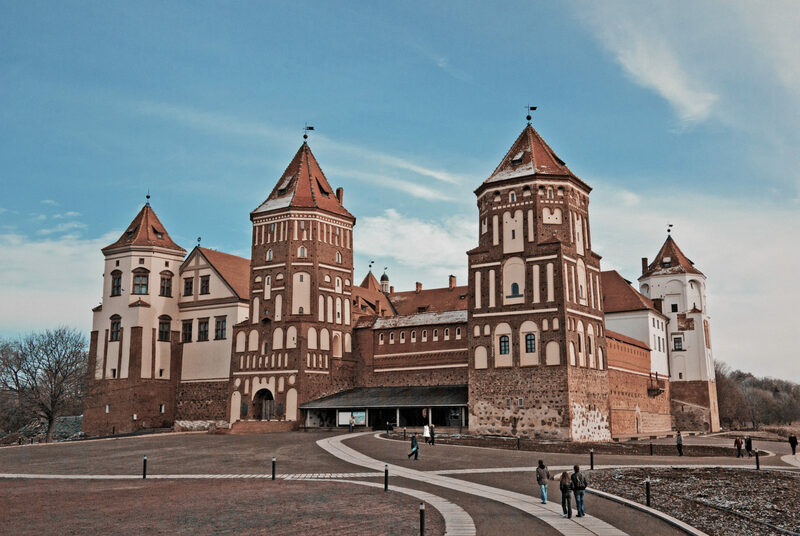 Belarus makes the list because this has got to be one of the most glorious castles in Europe! Best of all, it looks like no other we’ve seen (Image via Wikicommons). Antoni Gaudi is one artist who truly left his mark! His works are visible throughout Spain, but perhaps best seen and appreciated in Barcelona. 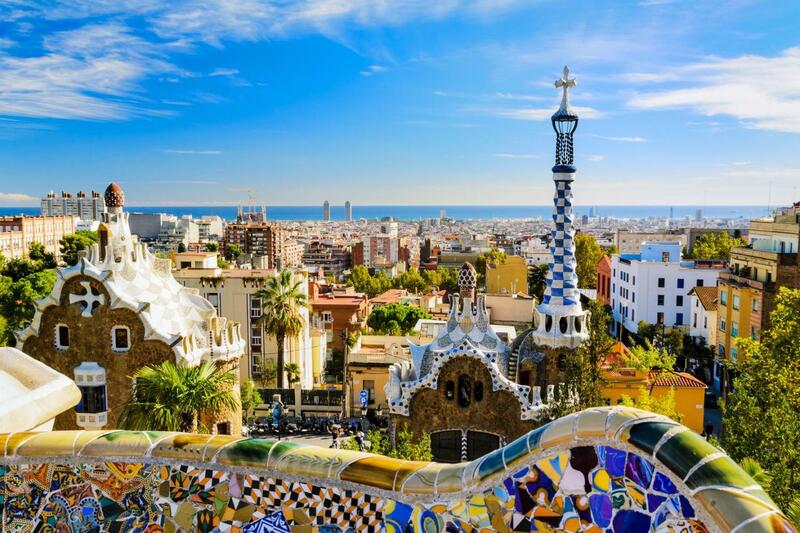 Be sure to visit Gaudi Park for an insight into his style and a great view over the city, as well as various other locations throughout the city (Image via grayline tours). While Italy is full of “must see” cities to visit like Rome, Venice and Napels, there are still plenty more to add to your list, one of those being Verona! It was of course here where Shakespeare was inspired with Juliet’s balcony, and still today people from all around the world leave their love letters on the wall. 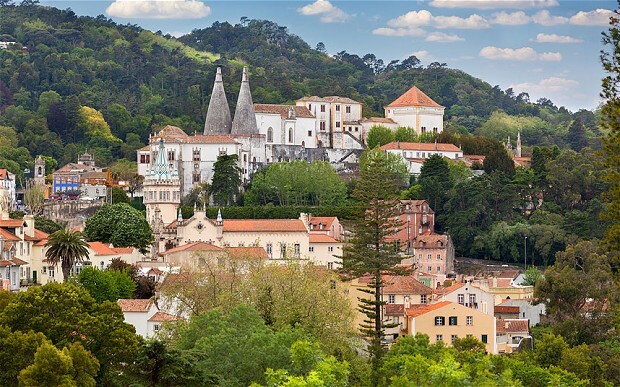 A great day trip from Portugal is to visit nearby Sintra, a charming small city with a whole lot of love put into its’ preservation (Image via telegraph.co.uk). 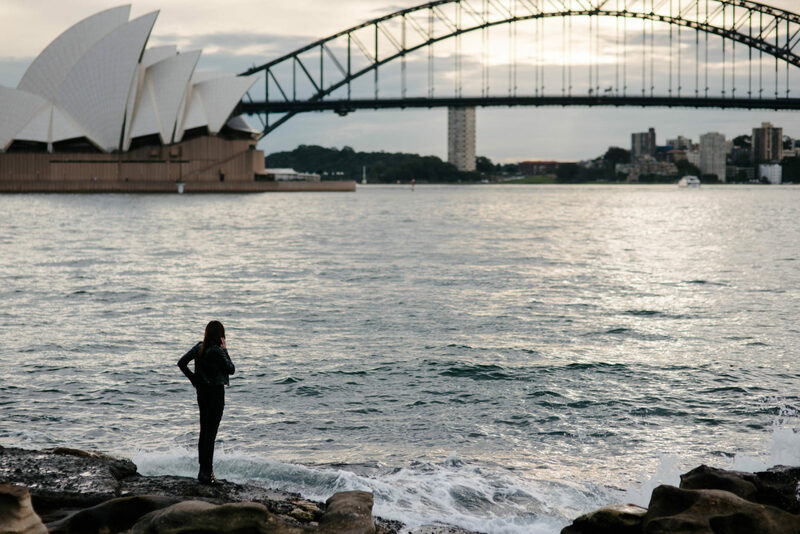 Sydney’s icon simply cannot go missed — its too big and central to not run into it even if you should try! 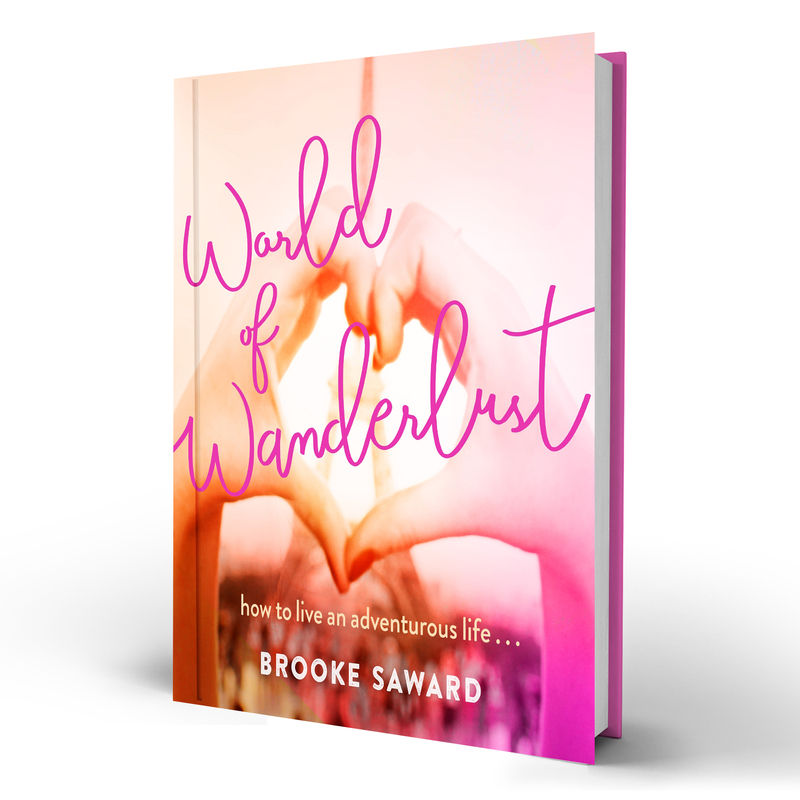 Check the WOW Australia articles for inspiration and information to help book your Australian adventure. 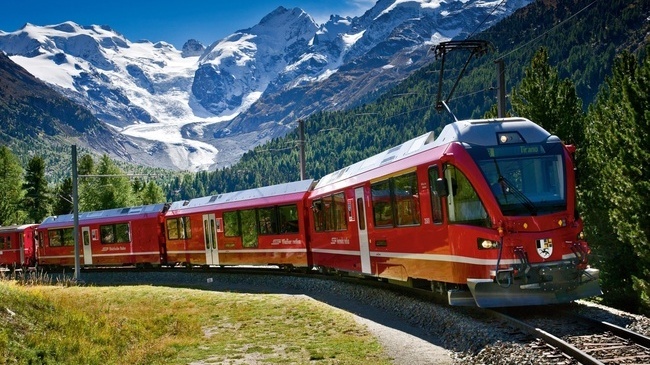 The Bernina express is commonly referred to as the most spectacular train journey in the world – this image is pretty convincing to say the least! (Image via swiss-image.ch / Renato Bagattini). 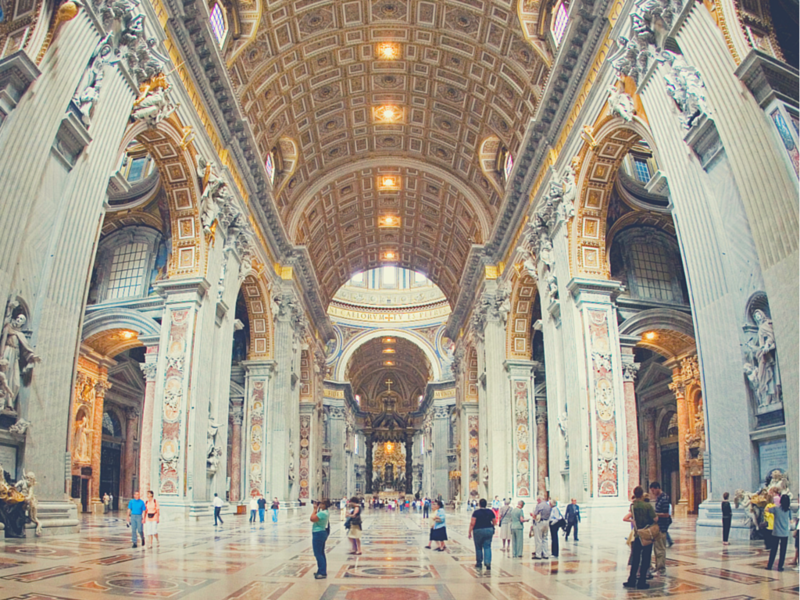 Visitors to Rome will be spoiled with so many sights to see that it can be quite overwhelming to know what to make time for and what to skip, but whatever you do, do not miss a chance to visit Vatican City! 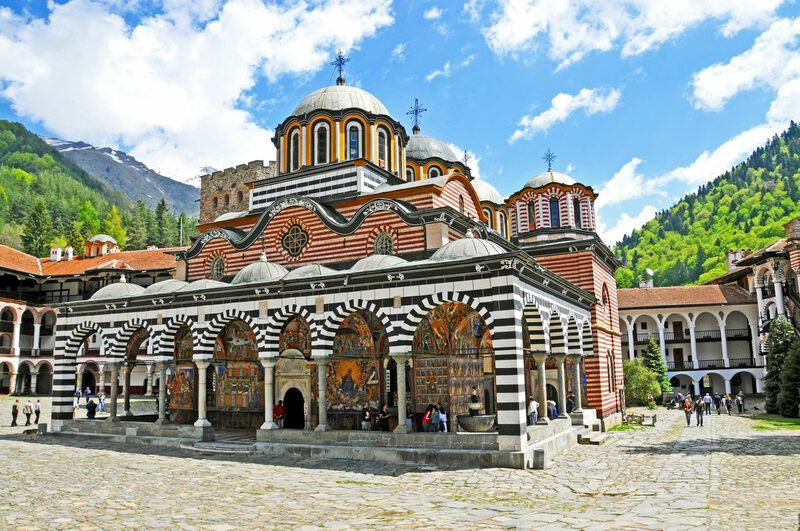 This is one of Bulgaria’s main attractions and is the largest and most important Eastern Orthodox monastery in Bulgaria (Image via Wikicommons). If you make it to Vienna on your travels, be sure to visit Schonbrunn Palace for an insight into imperial and regal history in Austria. 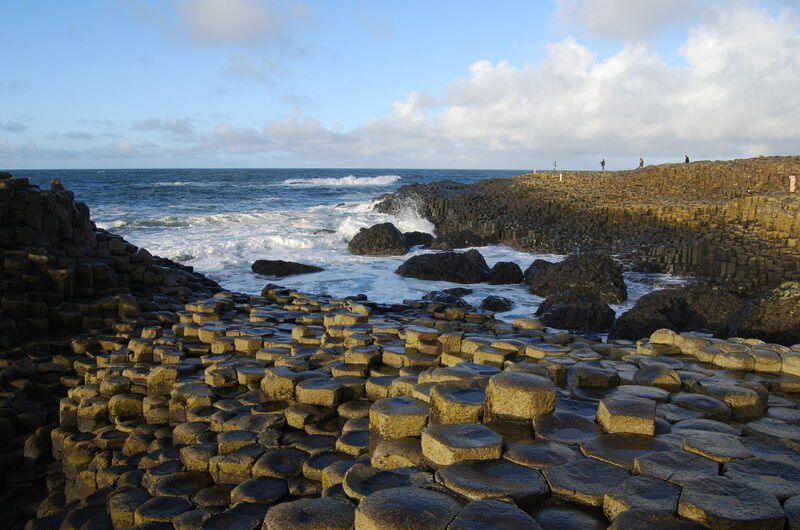 Giant’s Causeway is located in Northern Ireland and consists of a large rock formation (more technically speaking about 40,000 interlocking basalt columns) that formed following a volcanic eruption (Image via Wikicommons). 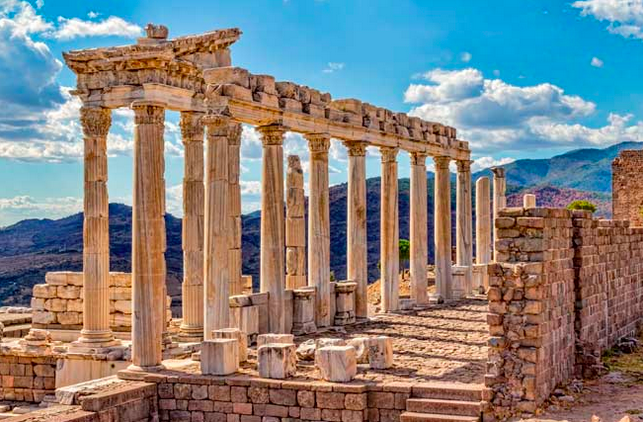 There aren’t many opportunities to step back as far in time as Pergamon, which traces back to the fourth century! This city has had a long history of changing hands, notably by the Greeks, Persians and Romans (Image via OPIS Zagreb, Shutterstock). 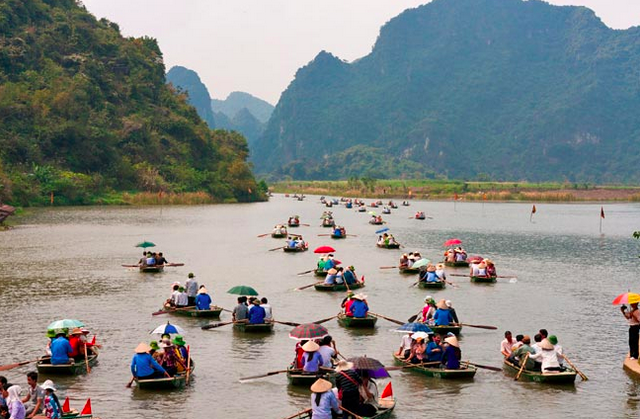 Vietnam is a country that surprises and delights travellers. One of its gems is the Tran An landscape, located on the southern edge of the River Delta (Image via Kelvin Tran / Shutterstock). 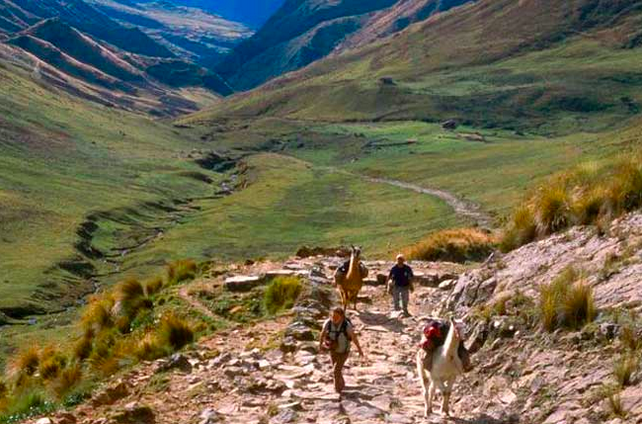 Spanning through Argentina, Bolivia, Chile, Colombia, Ecuador and Peru, this road network built by the Incas spans nearly 19,000 miles (Image via Laurent Granier [CC BY-SA 3.0], Wikimedia Commons). 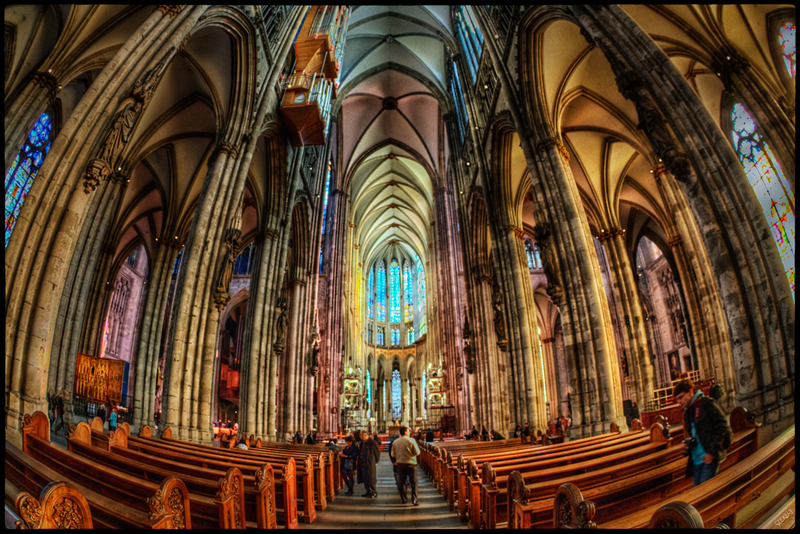 As far as cathedrals go in Europe, this one is pretty darn impressive (Image via Wikicommons). No list would be complete without a few mentions of France, home to some of the world’s most stunning scenery and architecture. 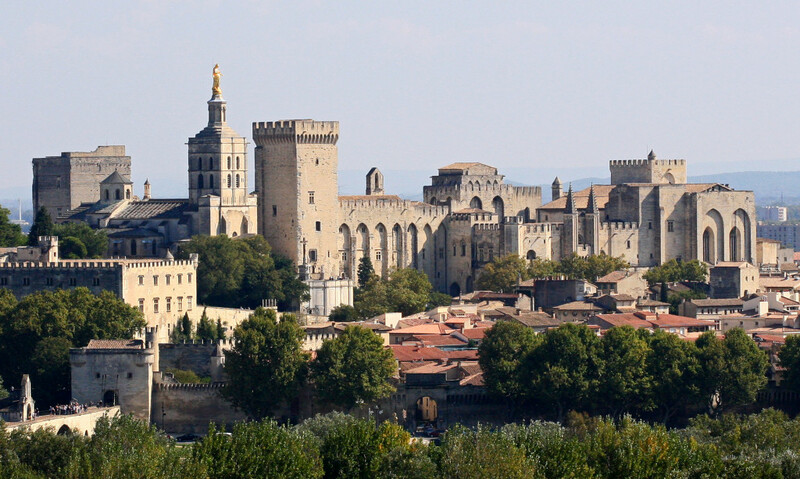 Located in Provence, Avignon is a popular stop for visitors to France (Image via Wikicommons). 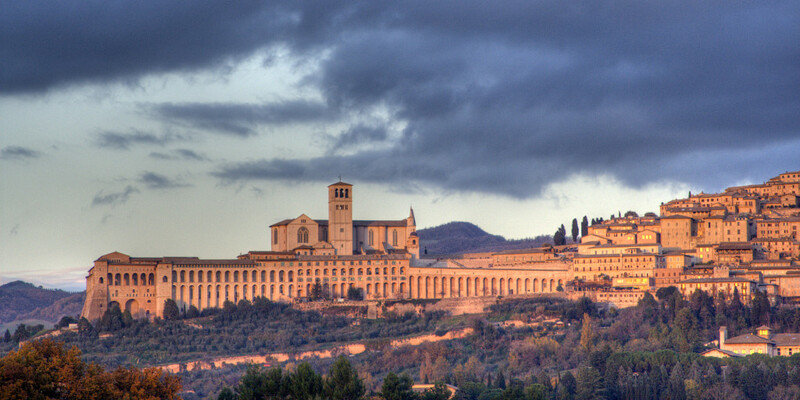 Located in the Umbria region, this hilly town is as gorgeous as they come, even if Italy is FULL of must see sights! (Image via Wikicommons). Indonesia is famously known as the home to Bali, a popular holiday destination, but there is much to see and do beyond Bali when visiting Indonesia! This particular temple is located in central Java (Image via Wikicommons). The Silk Road has been one of the most important trade routes in world history. This huge network of roads stretches from Asia to Europe, through the Middle East and North Africa (Image via Rudra Narayan Mitra/ Shutterstock). Lisbon is one of Europe’s most up and coming tourist destinations, and it certainly isn’t hard to see why! The city itself is full of colour and life, while just outside of the city in Belem, you can enjoy a relaxed slow pace. Be sure not to miss the famous custard tarts! 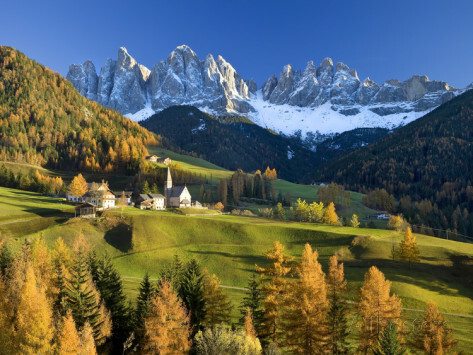 Located in northeastern Italy, the Dolomites add just another Italian must see to the list! (Image via). 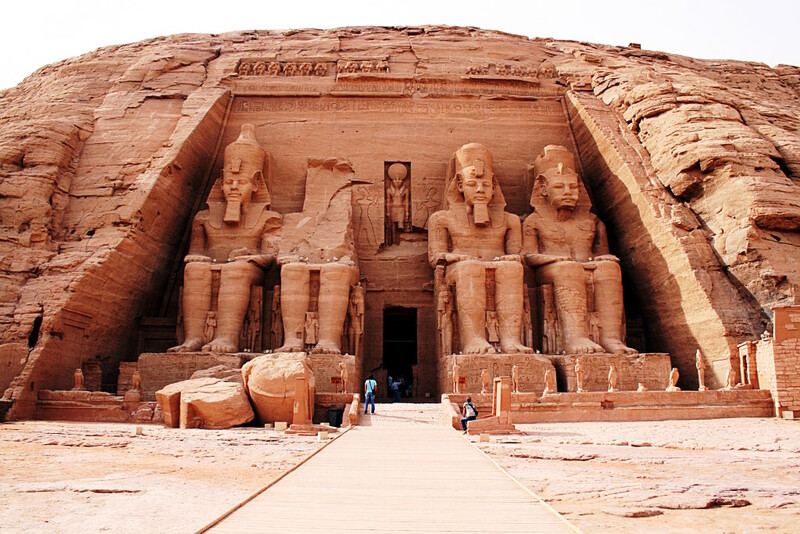 These two massive rock temples in southern Egypt must be seen to be believed! (Image via Wikicommons). 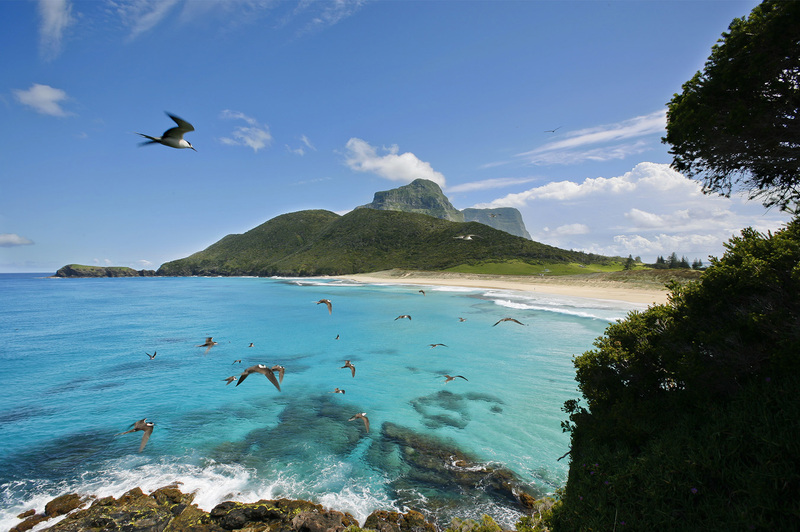 Another must see destination in Australia often goes overlooked due to its remoteness, but that is precisely what travellers who visit Lord Howe Island love about the place! (Image via Lord Howe Island). The Maya civilisation left a great range of relics, monuments and archaelogical sites behind for our better understanding of history. 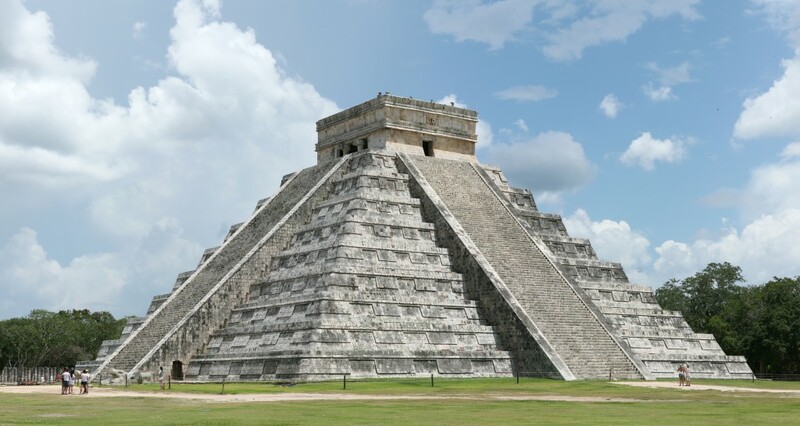 One of these is that must be seen is Chichen Itza (Image via Wikicommons). Australia is full of must see moments, from the Great Barrier Reef to Uluru… but don’t forget those you don’t hear about as often! The Blue Mountains showcase Australia’s stunning outback and are a great day trip from Sydney. The gorgeous Historic Centre of Quebec in French Canada is like stepping inside a time machine whilst teleporting to France all at once. 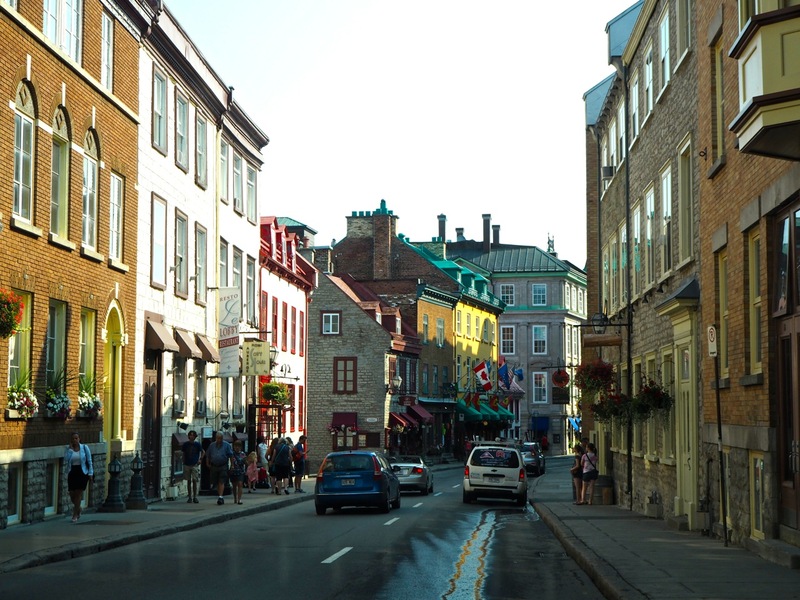 It is incredibly well preserved and one of the most gorgeous cities in French Canada. Brussels gets a bad wrap for the most part, but there’s no denying the Grande Place is as grand as its name! If you make your way to Hong Kong, you simply must set aside a day to take the jetboat over to Macau for a visit. 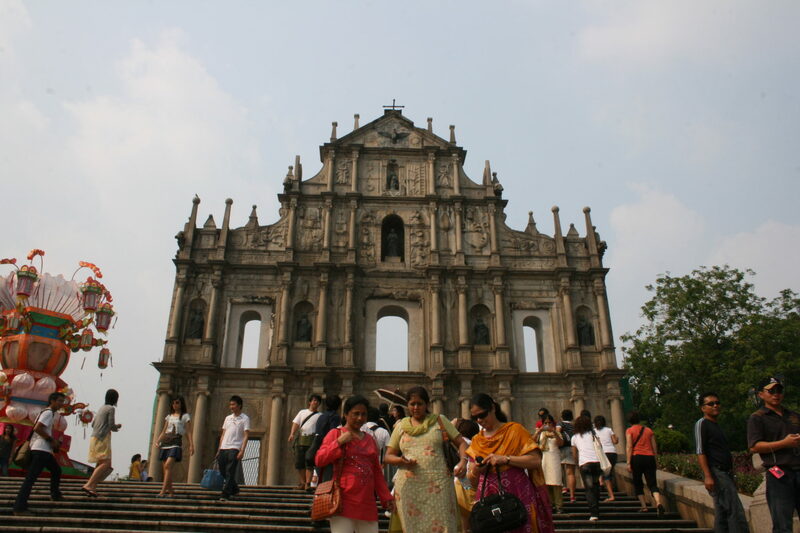 The Historic Centre cannot go missed as it is a fabulous insight into Portuguese influence in Macau, as well as the many casinos to see and enjoy. Its no surprise that Bali makes the list as it is one of the best places on earth to kick back and take it all in. The cultural landscapes (e.g. the rice fields pictured above) are UNESCO World Heritage protected in order to negate the impact of the tourism industry in some part, so as to aid the preservation of Balinese culture. 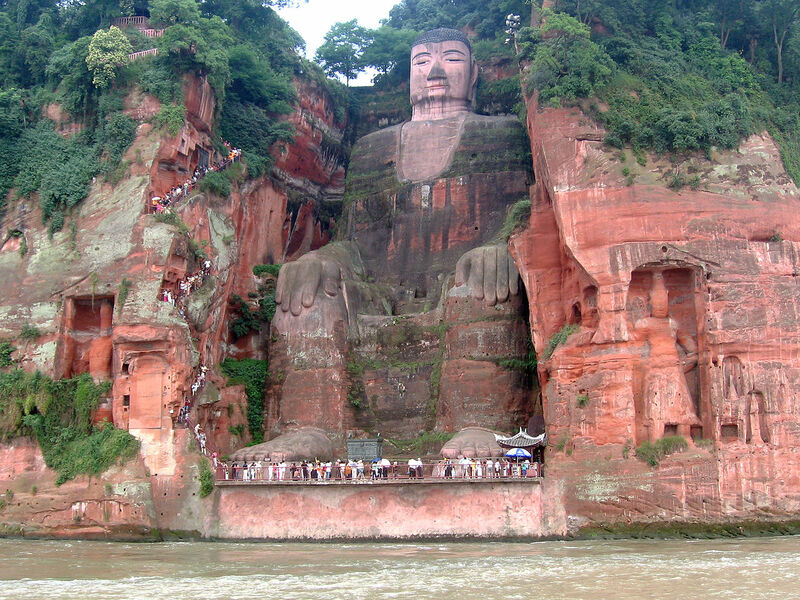 This giant Buddha in China is unlike any other in the world! The red rock makes it distinctive from others – typically bronze or white – and an incredible sight to see (Image via Wikicommons). 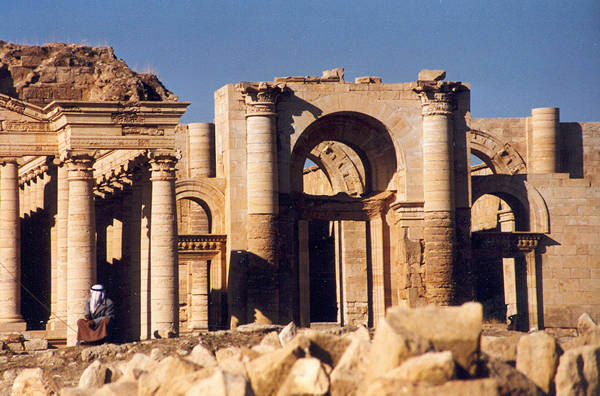 The ancient ruins of Hatra are located in Iraq, in the Persian province of Khvarvaran (Image via Wikicommons). 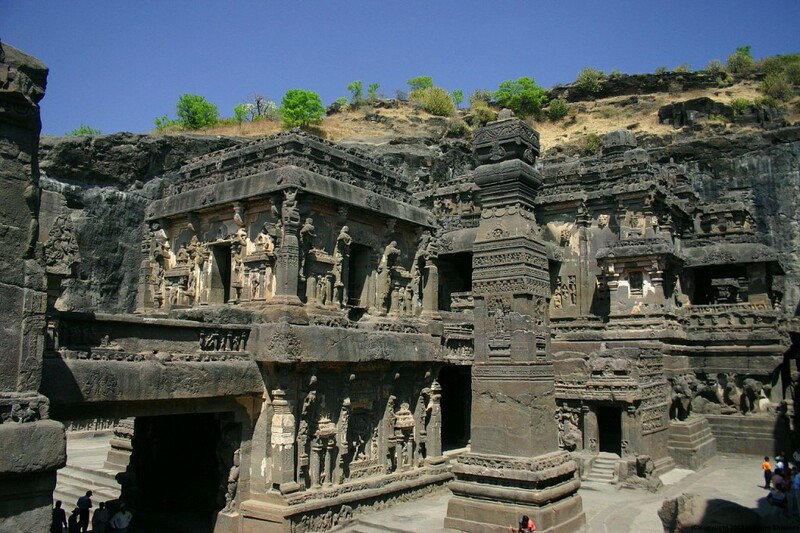 The Ellora Caves in India are an impressive insight into the ancient history of this Asian state (Image via Wikicommons). These buildings are incredible insight into the ancient Chinese dynasties – Yuan, Ming and Qing. 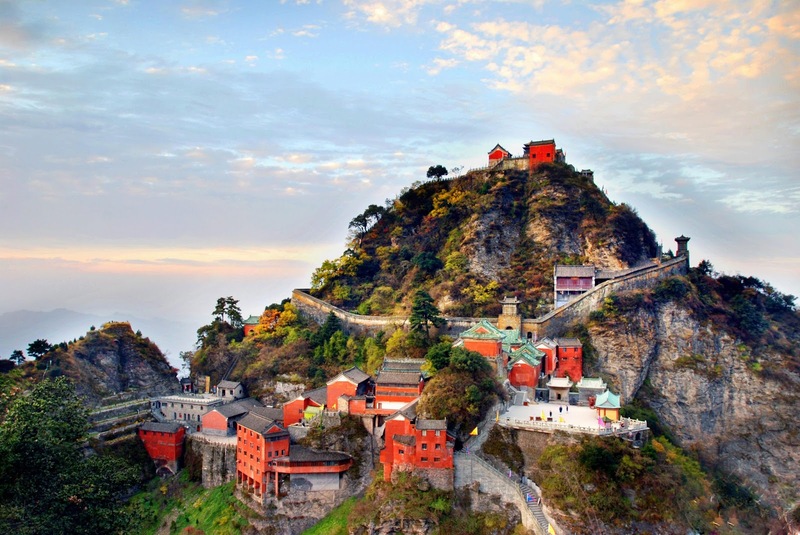 Located in the scenic mountains of Wudang, this is a remote location that few are fortunate enough to say they have visited (Image via). 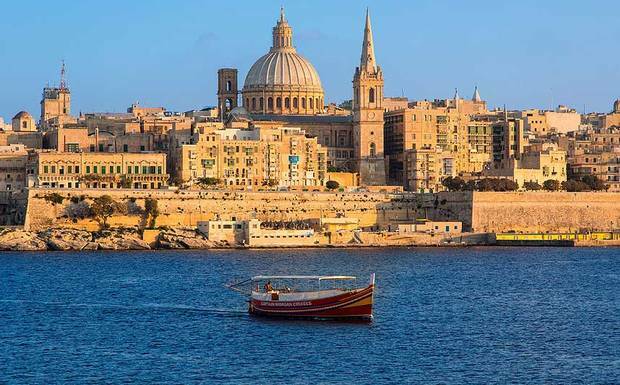 Malta is one of Europe’s less visited nations due to its’ remoteness, but if you do make it to the gorgeous country be sure to put Valletta on your bucket list (Image via the Telegraph). 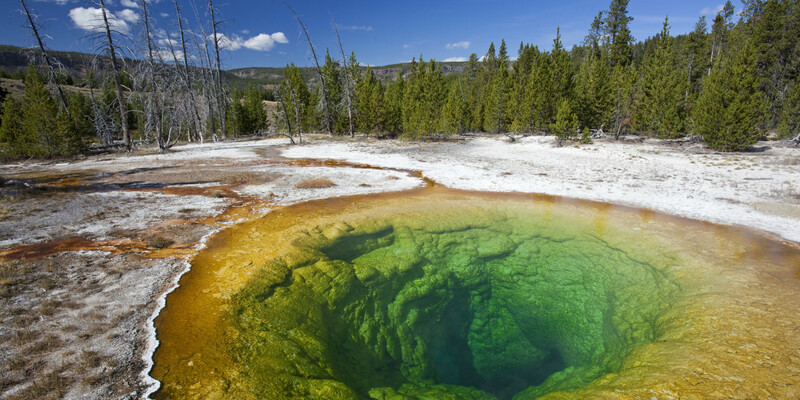 Another must see National Park in the USA is the highly popular Yellowstone National Park. It is renowned for its incredible and diverse scenery (Image by David Henderson via Getty Images). 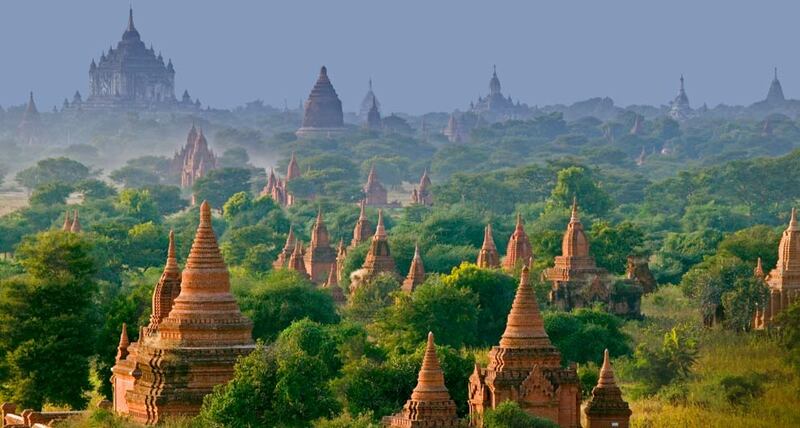 We had to keep some goodies up our sleeves for the finish… and Bagan in Myanmar is for sure one of the most beautiful UNESO sites in the world! (Image via Southern Myanmar). Everyone dreams of flying away…. in Cappadocia, it becomes a reality! 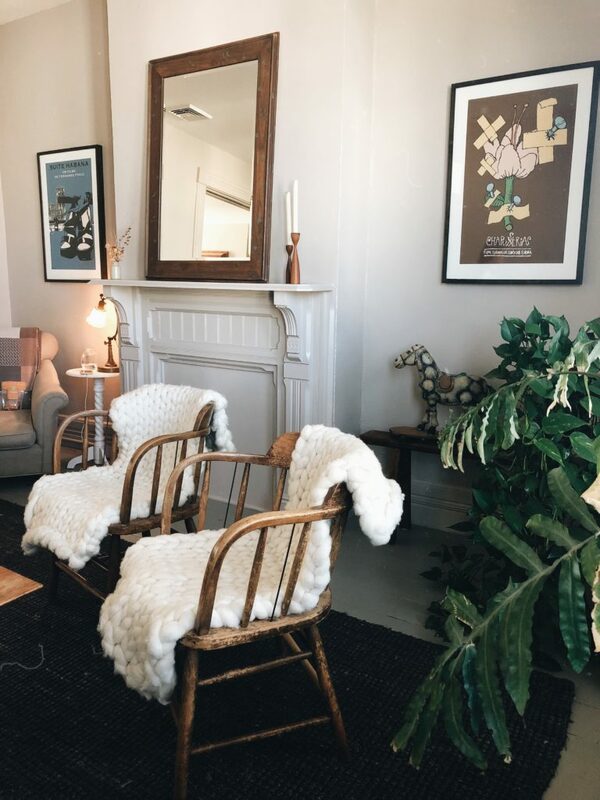 (Image via Emma Kate Co, WOW Contributor). Ahhhh Galapagos! On so many bucket lists, but so few get to see it in all of its natural glory. Located off the coast of Ecuador, the Galapagos Islands are one of the best places to view marine life in the world (Image via). This small village in Northern India is truly a hidden gem. 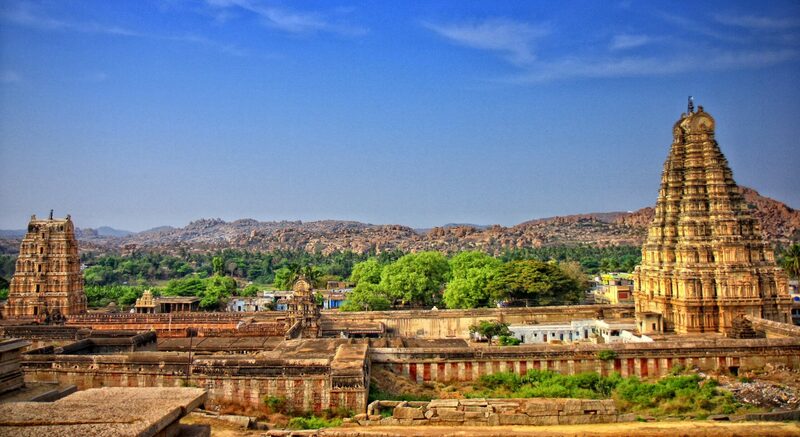 The ruins of Hampi are UNESCO protected as they are deemed to provide an insightful experience for visitors to the temples (Image via Wikicommons). Last but certainly not least! 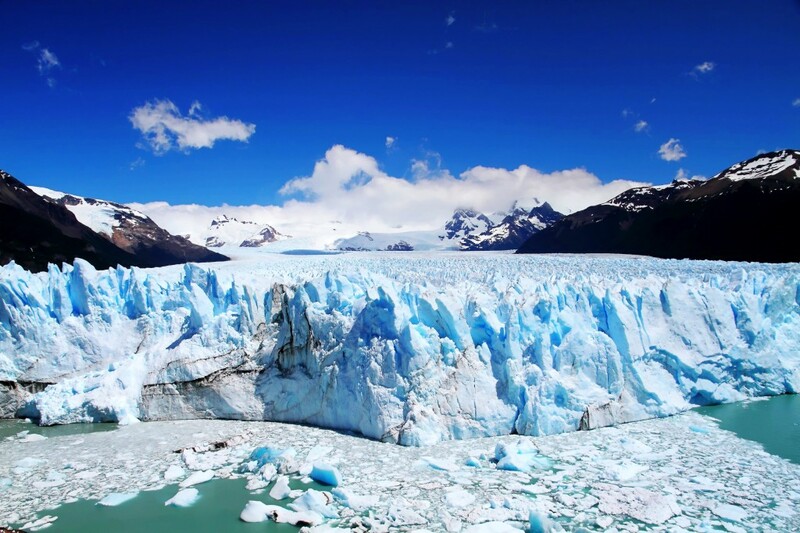 This absolute gem in Argentina is as near to Antarctica as you might get without being in Antarctica itself! (Image via). 100. OVER TO YOU! Where is your favourite UNESCO Site? Did it make the list? Rumbi, Stonehenge is most definitely not in Scotland. The Alhambra and the Historic City of Toledo in Spain are beautiful sites. You missed the Ngorongoro crater, Tanzania! Im so glad and proud I found Czech republic 3 times on this list! Unbelievable, you have done a great job. Absolutely amazing, Brooke! I want to go to all of these places 🙂 Ahhh! 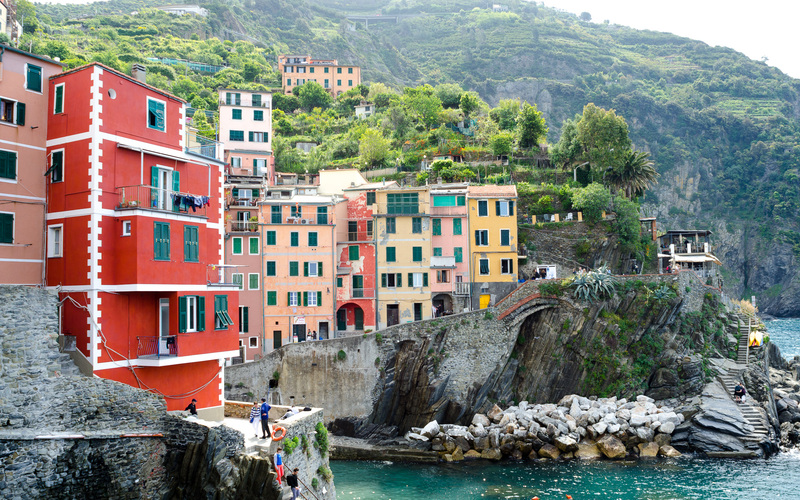 Dream destinations … all of them. And Taj Mahal #1, can’t wait to go back in just a few months! Cartagena, Colombia! Really, you must go, it’s an enchanting romantic, cultural port city. My best advice stay in Boca Grande on the beach & take a quick cab ride to the Walled City & historical area! I feel so lucky that I was able to visit some these places! Most of these are on my bucket list of course. In two weeks I will hitting 2 or 3 more on this list! Can’t wait. 21 out of 100! Not bad, but just the beginning! And thanks for including my hometown Saint-Petersburg. I nominate Hawaii Volcano park. Its a great pity Brooke that you haven’t posted any Heritage Sites from Southern Africa. Going up Table Mountain in Cape Town surely beats some of those rather pedestrian spots you have mentioned. Wow! How many of these have you been to? Did you take these photos (those without credits)? Brooke, I am afraid Bled, Slovenia is not on the UNESCO World Heritage List. There are three sights on the list from Slovenia – Škocjanske caves, pile-dwellings and wetlands around Ljubljana and the heritage of mercury in Idrija. Great list! I’ve seen 13 of it and a lot is on my bucket list 🙂 I would add the Borobudur, Java, Indonesia, such an amazing place. 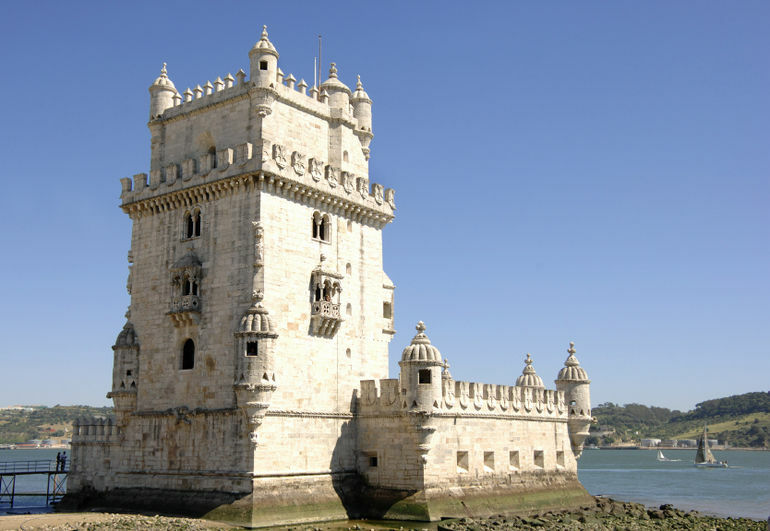 Also Porto, Portugal I would add, part of it is also on the UNESCO list. I found Porto even greater than Lisbon! Great list. I have been to many and many are on my wishlist. For number 100, I’d add Antigua, Guatemala. A few country not in the list. There’s so much to see, it’s amazing. A life wouldn’t be enough! This kind of list really makes me dream… We live in a wonderful planet! I have a friend from London who bought and restored a small Trulli near Puglia and now rents it out for short-term lettings, it comes with it’s own swimming pool and central heating in winter. If you’re interested in staying there, let me know and I’ll put you in contact with each other. I haven’t made it there myself yet, but from photos and what friends have said, it’s stunning and a great place to stay. I actually wrote an article on it here..
WOW these pictures are so beautiful! 🙂 Great post Brooke! And I really enjoyed that list. So many memories of past travels and even more bucket list places to visit!! Is 97 – The Galapagos Islands not a picture of Palau. I may be mistaken, but I swear that’s Palau. But other than that, fantastic list! Beauty all over the world! Ah this is why I love your blog! So many beautiful pics always. Thanks! Love the idea of this list & the list itself! So many INCREDIBLE places to visit in this world. On my list (and not mentioned here!) would be Alberobello and its Trulli (in Puglia, Italy). I will be spending time in Puglia this November and hope to make it to see the Trulli! Very interesting article; I had no idea that the Palace of Westminster was a UNESCO World Heritage Site! All those places are awesome! I’m like “hhmmm I saw a few of them ” but I still have a loooot to see! So far I’ve only visited 6, but we’re hoping to cross a lot more off our list as we explore Europe over the next few months. 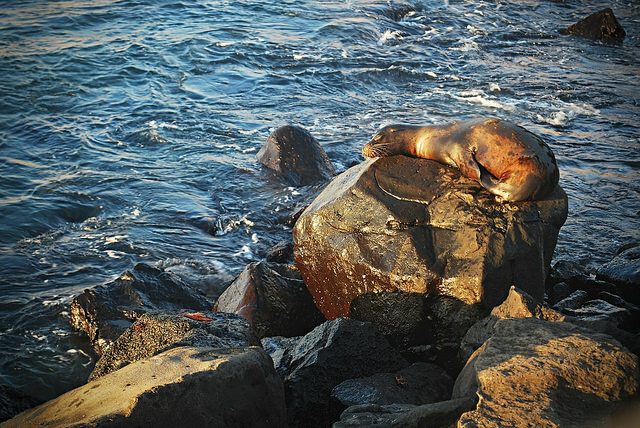 The Galapagos Islands in Ecuador is indeed one of THE most unique and adventurous travel destinations! There’s so much to discover and so many activities to do that you probably need to move there full-time to explore it all. I really loved it there! Hopefully one day I will visit them all! Great list, one of my favourite UNESCO sites to visit was Halong Bay in Vietnam, which is absolutely gorgeous, especially at sunrise and sunset! My favourite is Liverpool Mercantile City, but I might me bias as I live there! You should totally pay a visit while you are in the UK. I would have to say my own hometown that just made the UNESCO list this summer: Rjukan in Norway! You missed Fountain’s Abbey (Ripon, Yorkshire) off the list – totally took me and hubby by surprise at how amazing it was! Plus Ripon is a lovely little town. The most beautiful place I’ve ever visited is Jökulsárlón in Iceland. There are huge ice bergs floating around the lagoon towards the ocean and it’s breathtaking! Especially when you see the seals swimming between the ice bergs. No. 100 are Skocjan Caves in Slovenia. The true representative of Slovenian Karst (along with Postojna Caves) and one of the most beautiful caves in the world. Amazing places, I still have to visit a lot of them. A remark: the photo n.º 69 is Belvedere Palace (also in Viena) not Schonbrunn Palace. Visited a couple of them! Can’t choose which one is highest on my bucket list right now. Must. Visit. All. Loved the Vatican the most I think.. such a beautiful, beautiful building! My favorite is the main square in Cuenca, Ecuador! I spent 3 awesome weeks there! I’ve been to a couple of these places and they’ve all been brilliant! I feel like taking this list and making it a life goal to check off all 100 places! 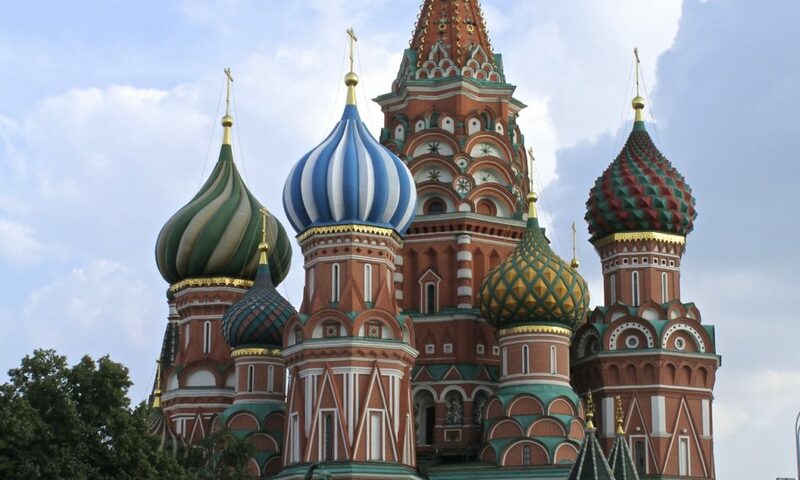 Cant wait to save more $ and get the opportunity to visit more of these UNESCO sites especially Christmas Island and the Moscow Kremlin! Perhaps I am missing something. How come Easter Island and the Forbidden City are mentioned twice? Brilliant list, and so long! Yet, my favourite wasn’t on it, which actually makes me really excited because I had no idea there were so many sites! What a remarkable list! Proud to see 2 of Vietnamese attractions in the list. Luckily,I used to live in Japan for 1 year and have been to different cities in Japan and Hiroshima is one of my favorite cities in Japan. 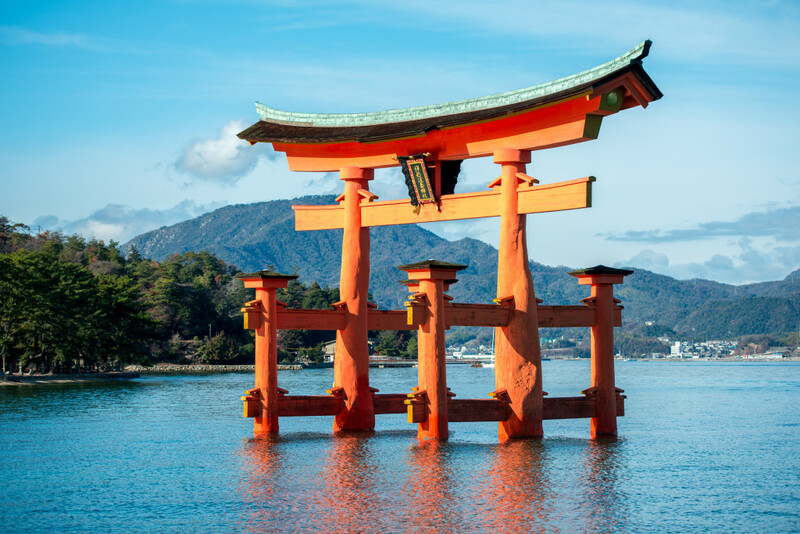 The Itsukushima Shrine Gate is absolutely beautiful. I really enjoyed my time when I was in Hiroshima. Really recommend this city and the Shrine. And Kyoto is so so so pretty. I really love this city and would like to go back one day. Ginkakuji is apparently one of the most popular attractions in Kyoto, but the most wonderful thing is walking around this city, enjoying the ancient atmosphere or having some cups of tea in a japanese traditional tea house. You missed out BOROBUDUR located at central Java, Indonesia. 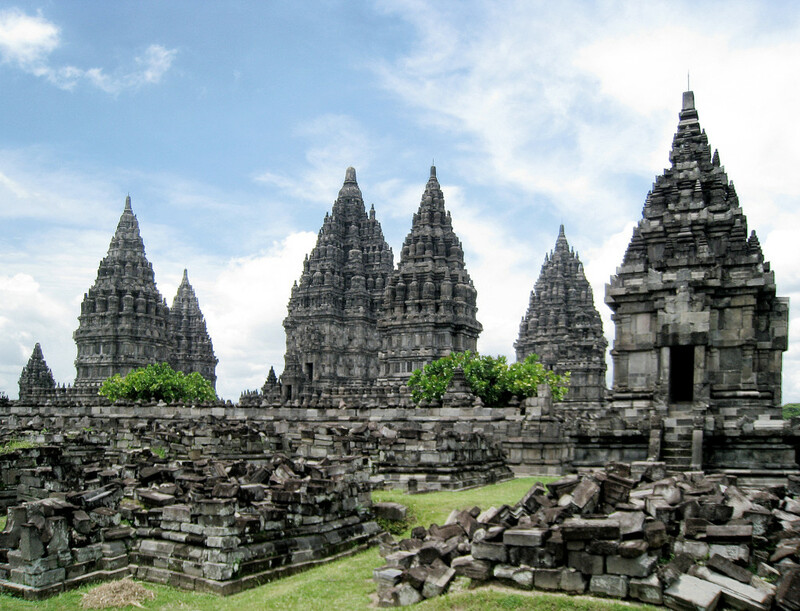 But, so glad that Prambanan is also on the list. Great list! But there are room for one more on the list. Number 4 and 23 are both the Easter Islands….